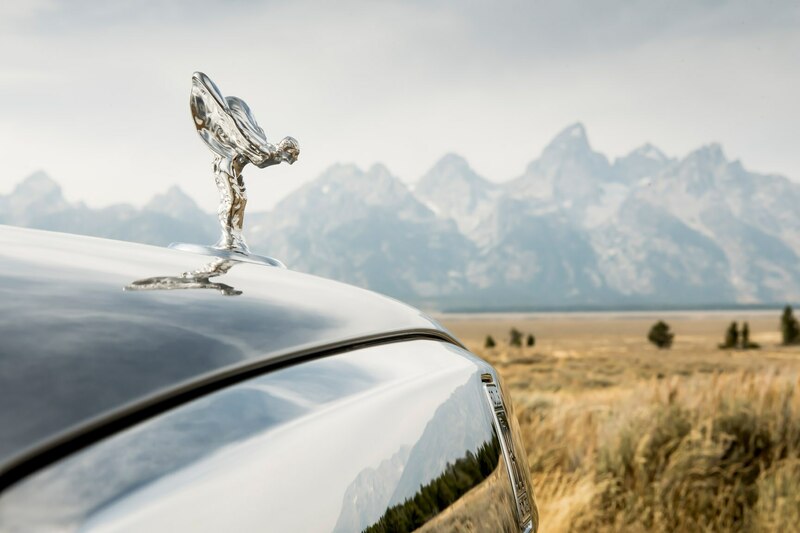 JACKSON, Wyoming — The human face is a marvelous instrument. 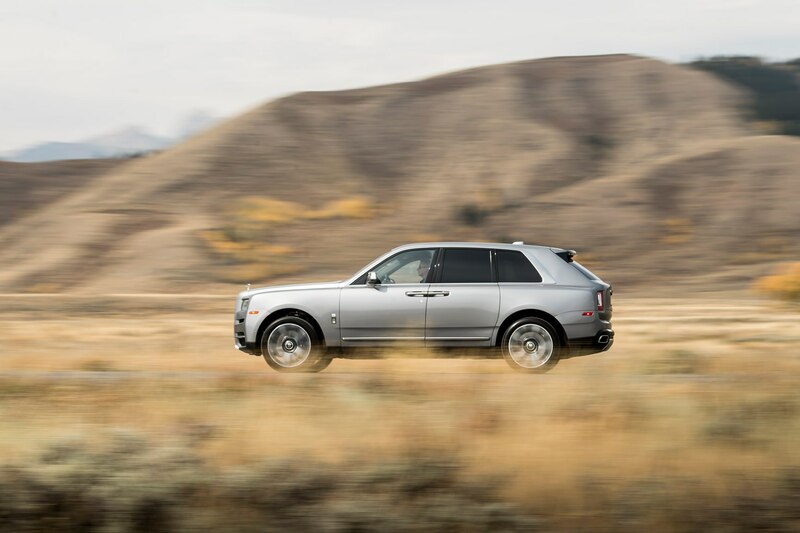 Activate the appropriate muscles, and a crystal clear emotional state can be conveyed in an instant—an important distinction when scanning the faces of hikers who clear a path for you as you pilot the world’s most expensive SUV along the steepest ski trail in America. 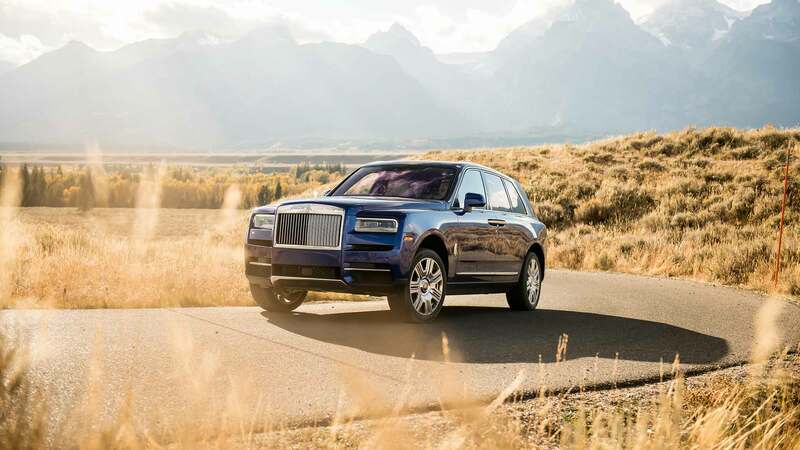 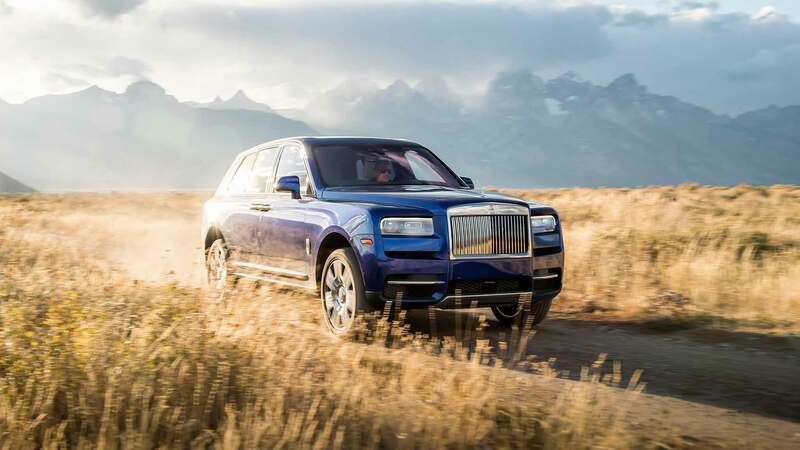 The cultural sensitivity of maneuvering the V-12-powered Rolls-Royce Cullinan around outdoorsy folks is comprehensible. 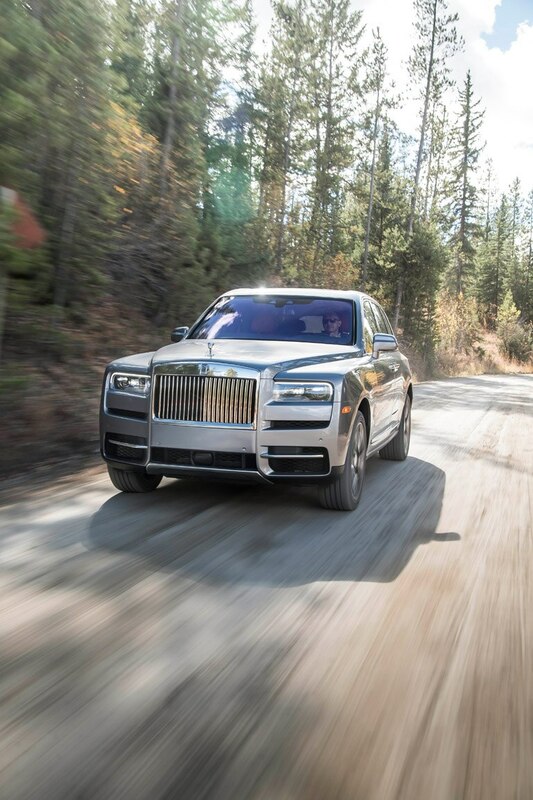 But the strangest thing about my first impressions of this 6,069-lb Rolls didn’t come from human interactions (save the predominant surprise and delight factor, and one sour-faced skeptic), but rather the fact that this sport brute clawed its way up Snow King Mountain with the delicacy of a geisha. 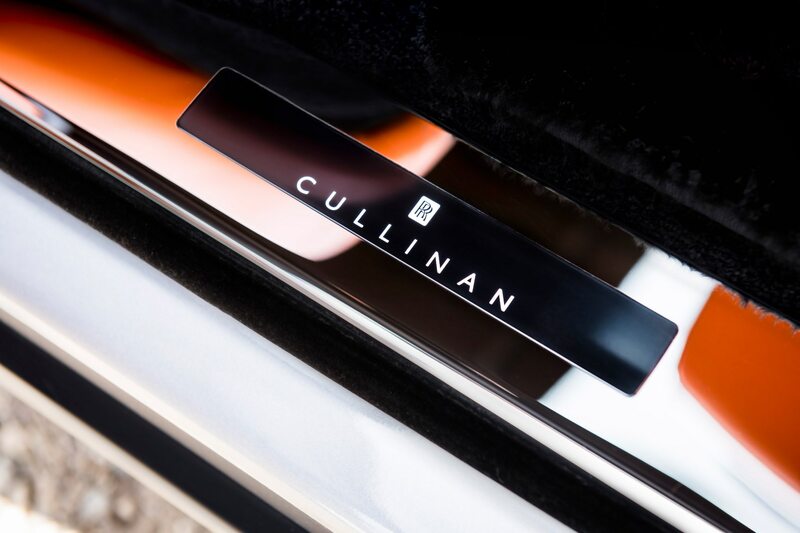 Cullinan, as you may be aware by now, is named after a massive 3,106.75 carat diamond, the largest gem quality stone on the planet until it was cleaved into nine pieces. 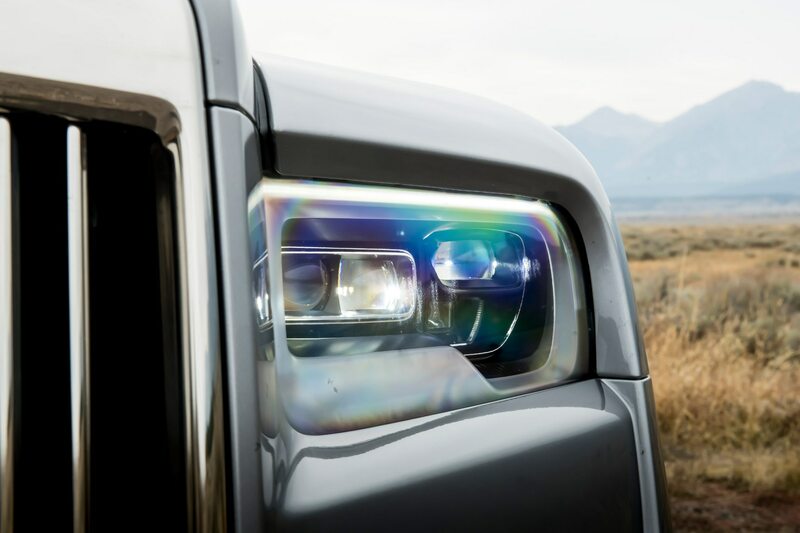 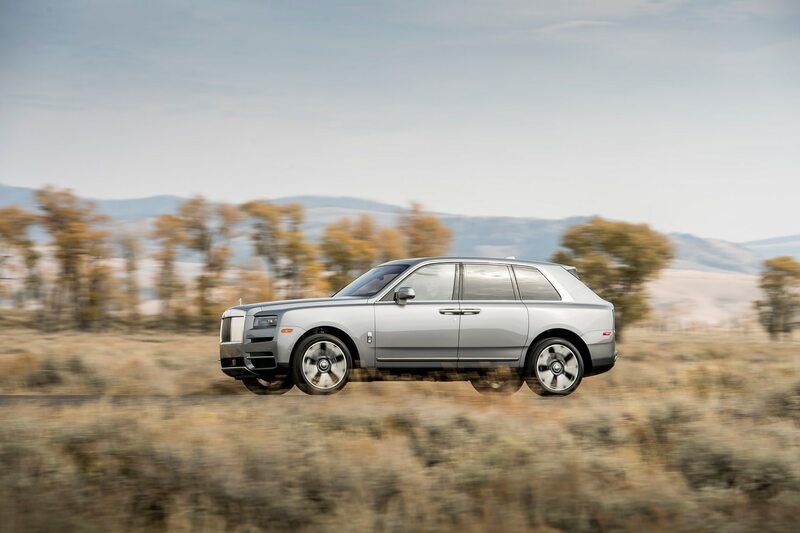 Like an archetypally oversized F-you engagement ring, Cullinan wears its plus-sized visual imposition like a shield, one that seems far easier to fathom in wide-open spaces like Wyoming than in class-conscious suburbs. 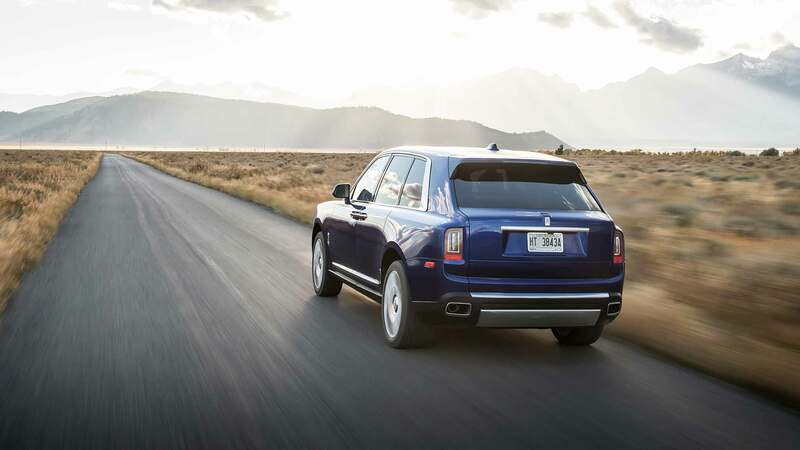 As such, Cullinan requires a bit of clever engineering to manage its three ton mass over the rough stuff. 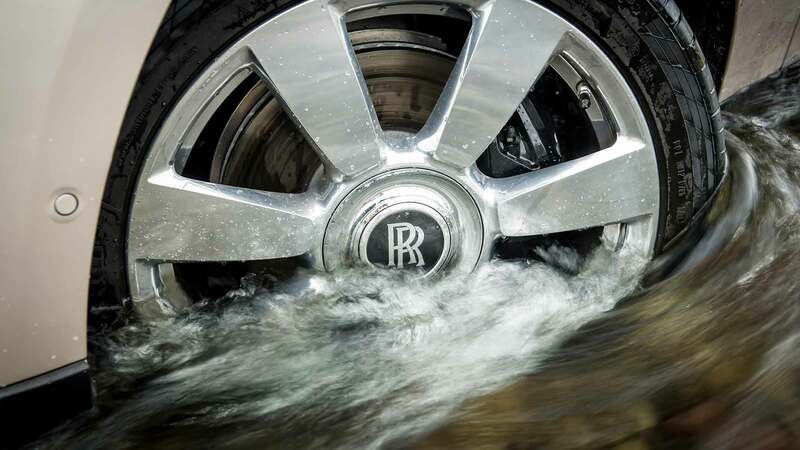 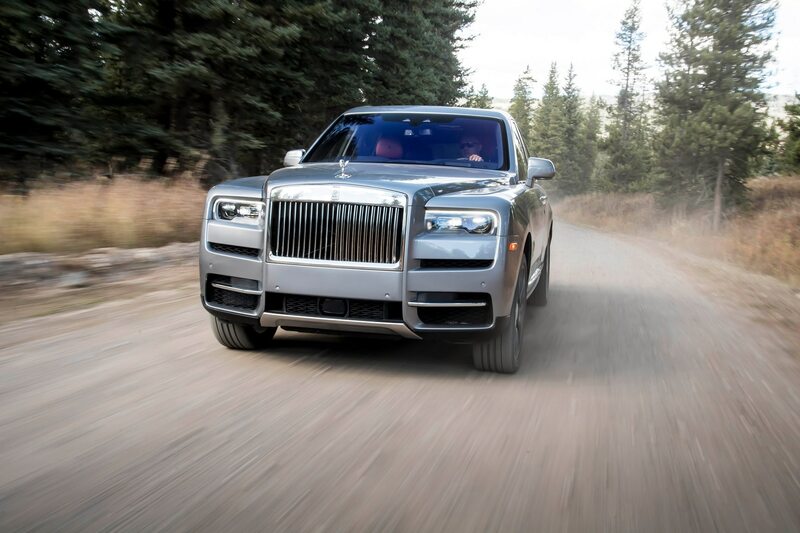 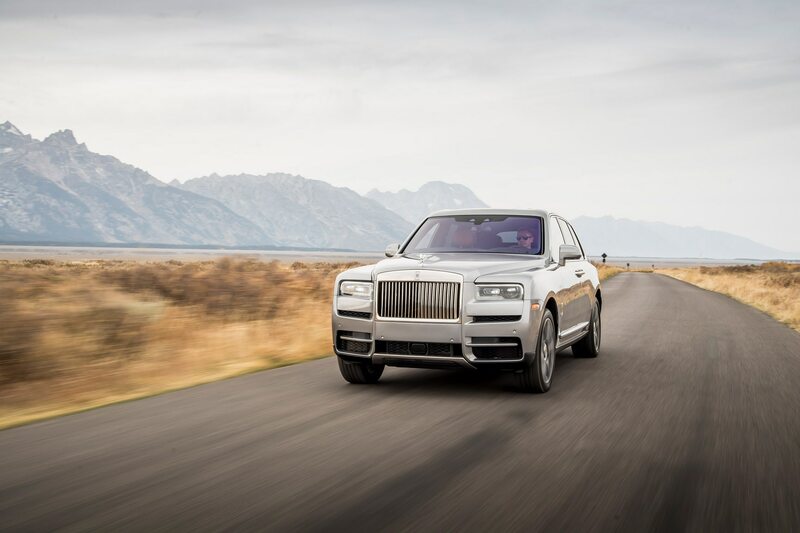 Rolls-Royce’s first-ever all-wheel drive setup works in conjunction with an active suspension system that uses body and wheel acceleration, steering inputs, and camera data to adjust damping. 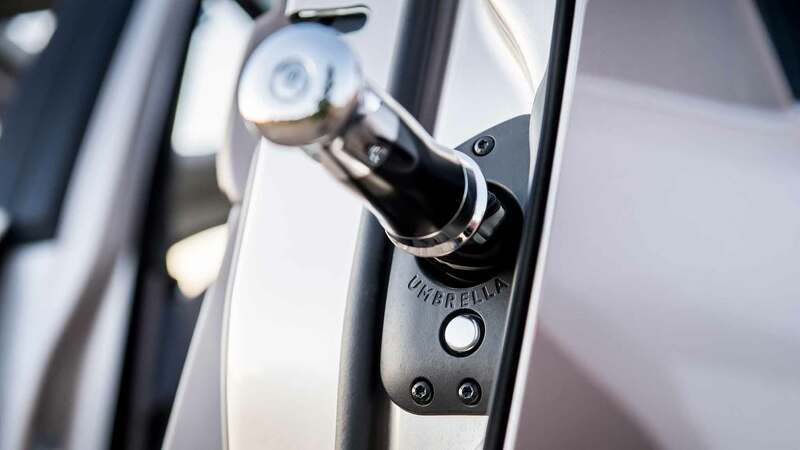 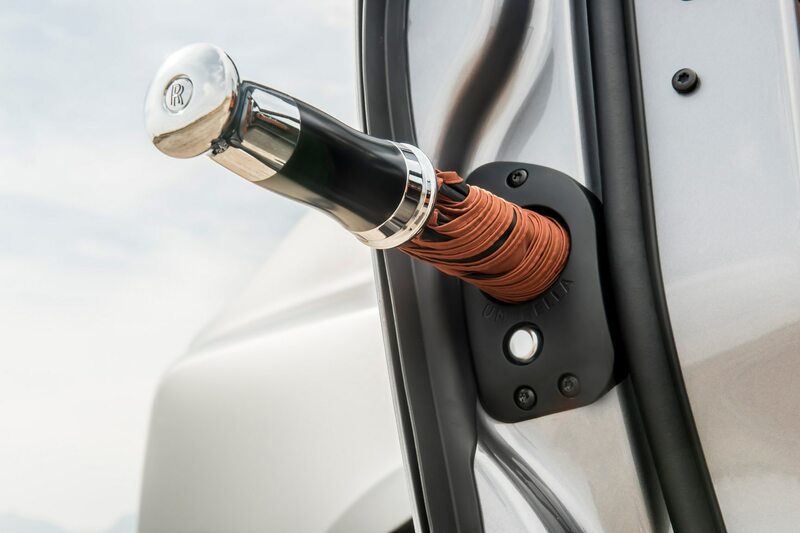 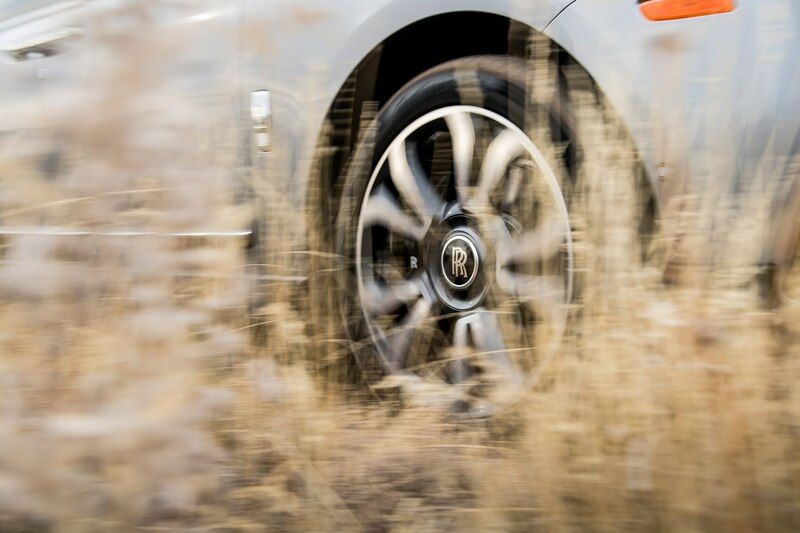 In Off Road mode, the system actively presses wheels down as necessary in order to maximize grip, and individually applies the brakes as needed to control torque distribution. 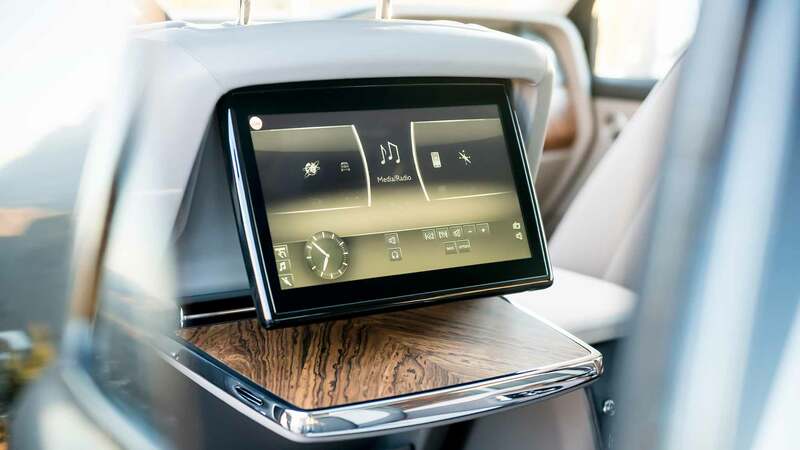 The tech may be sophisticated, but you wouldn’t know it from the confines of the glassy, upright cabin; inside is a decidedly old school interface. 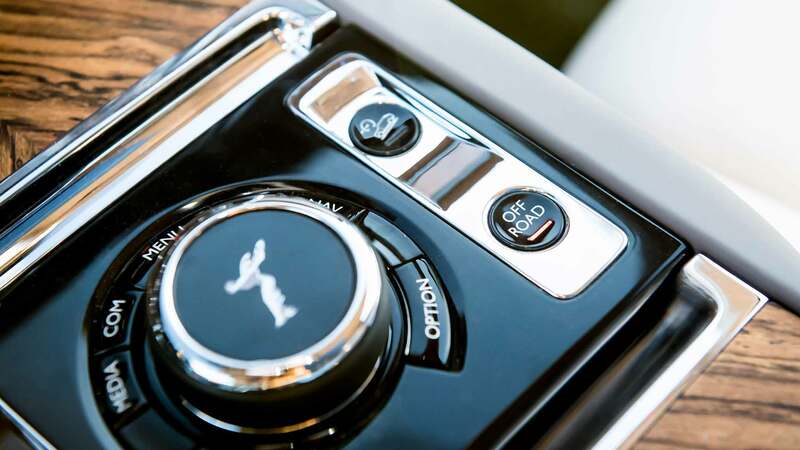 The only two drive modes are Low (via a small button on the column-mounted shift stalk) and the aforementioned Off Road (another small button near the iDrive-like multimedia wheel). 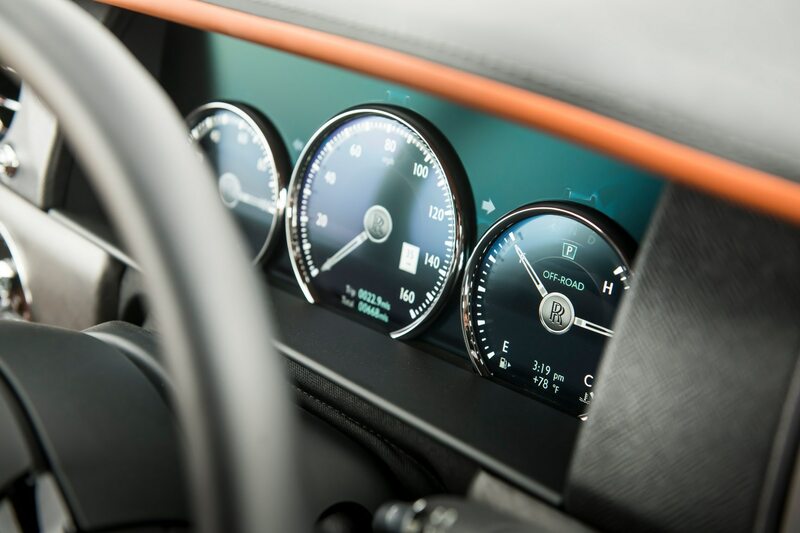 Hints at modernity come through in the digitally but convincingly rendered instrument needles, which sweep at startup in attempted claim for authenticity. 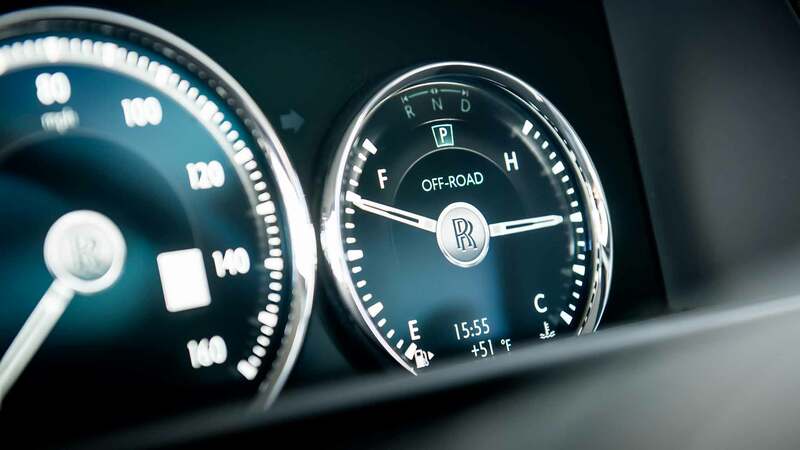 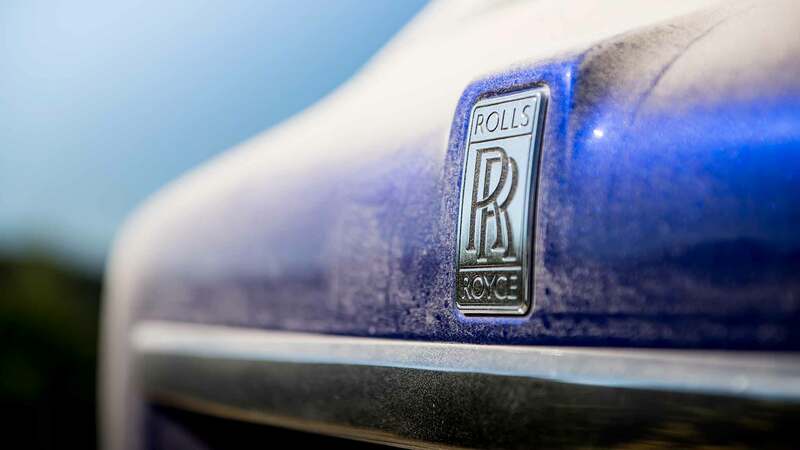 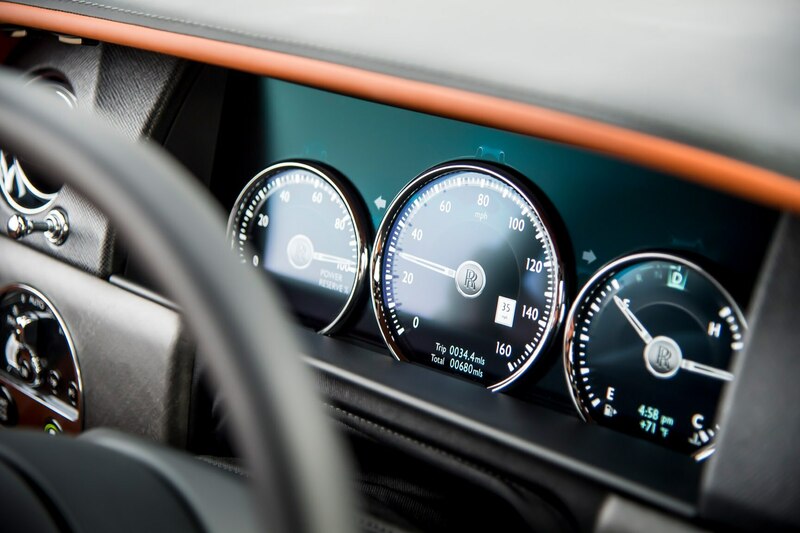 Thankfully, ancient Rolls-Royce hallmarks like organ-pull vent controls, a Power Reserve gauge (which represents available torque in percentage form), and traditionally analog red and blue temperature dials persist. 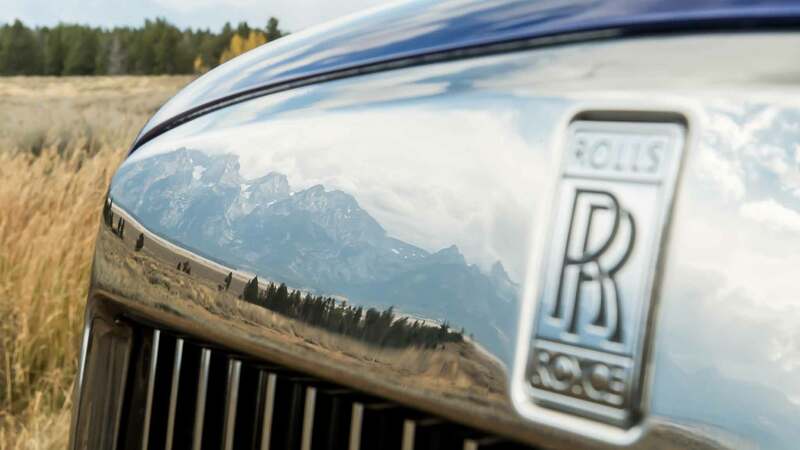 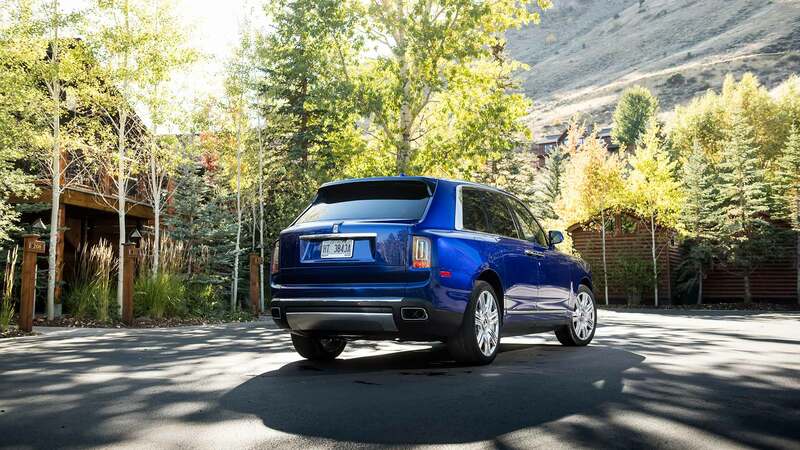 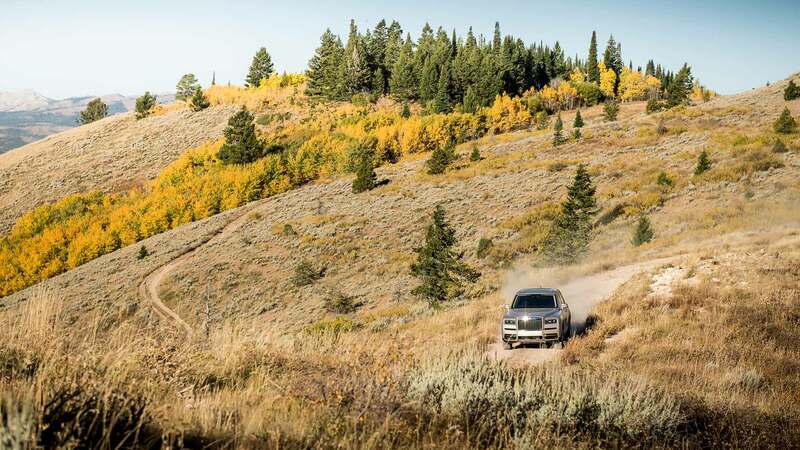 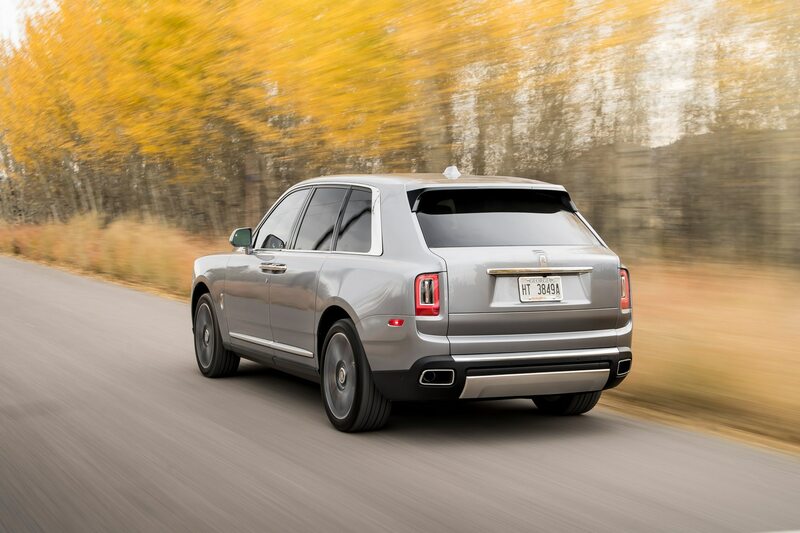 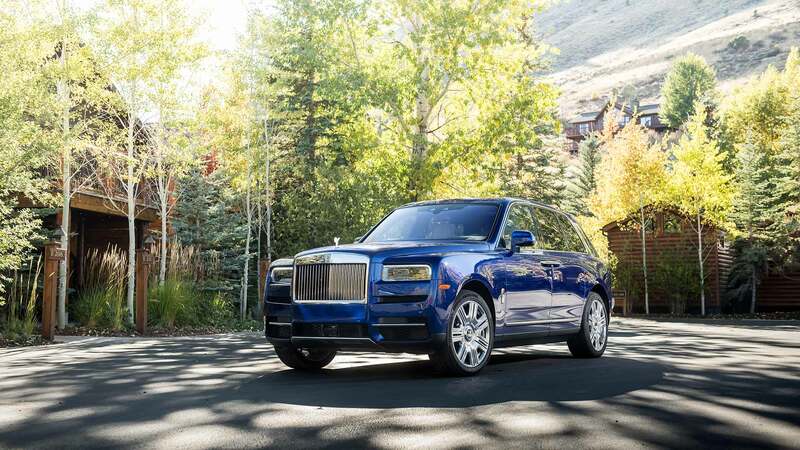 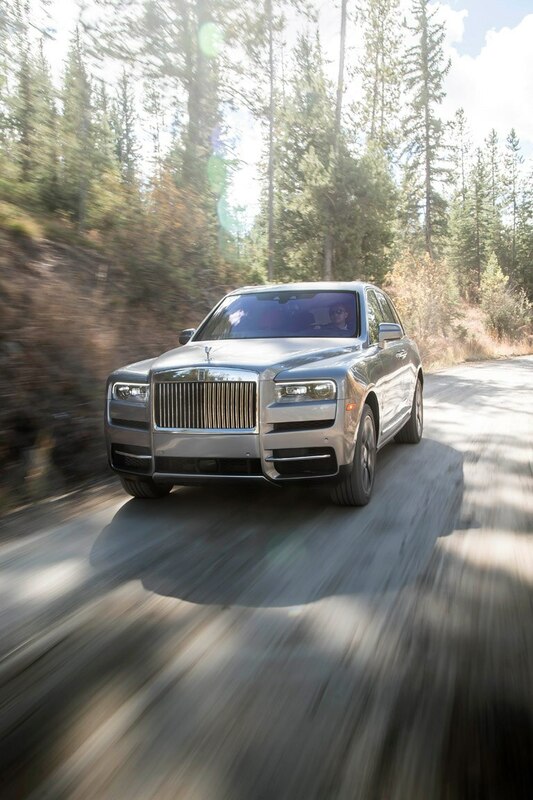 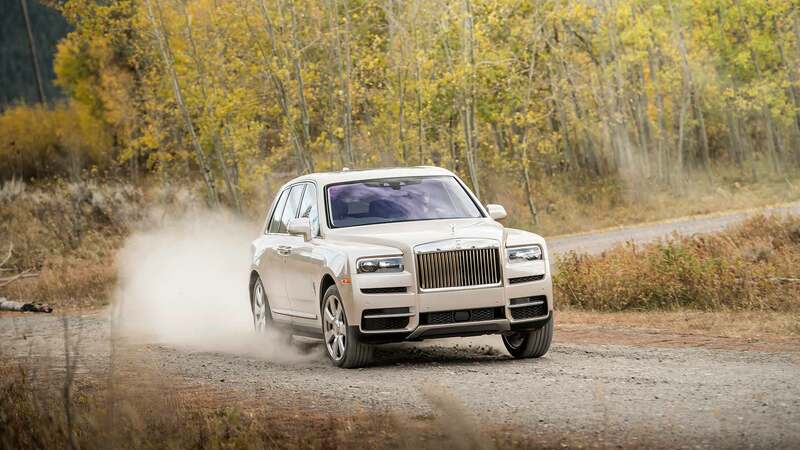 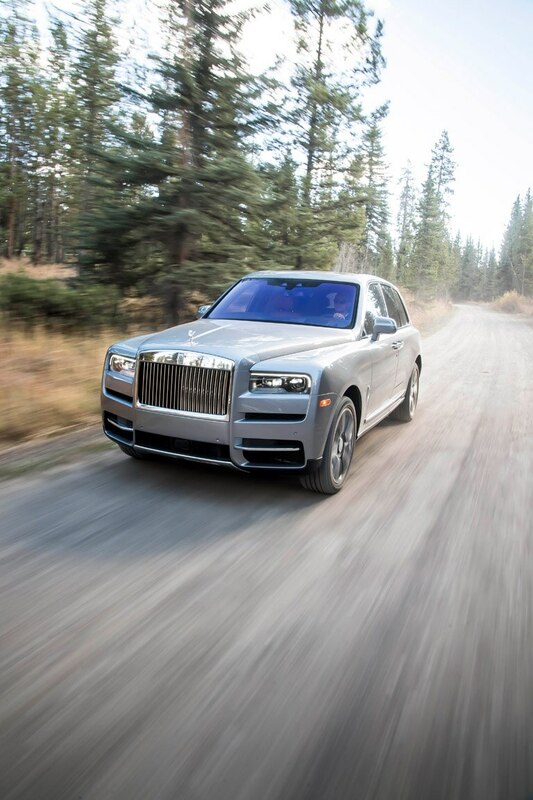 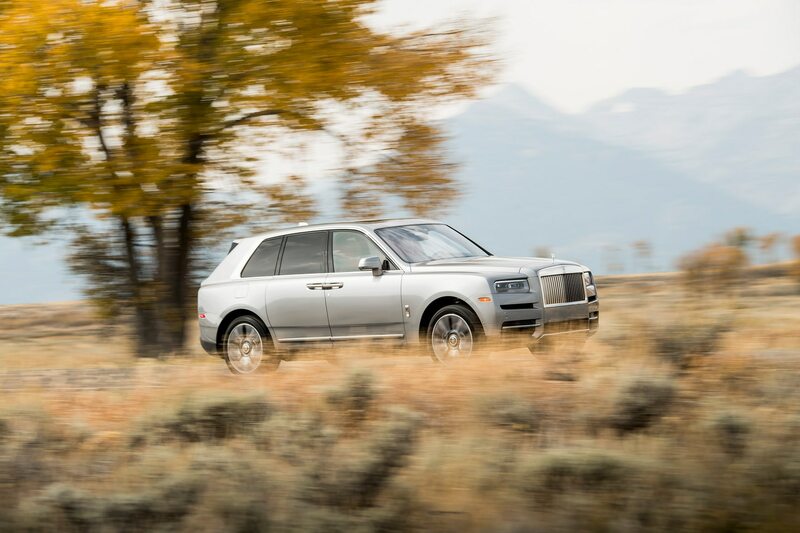 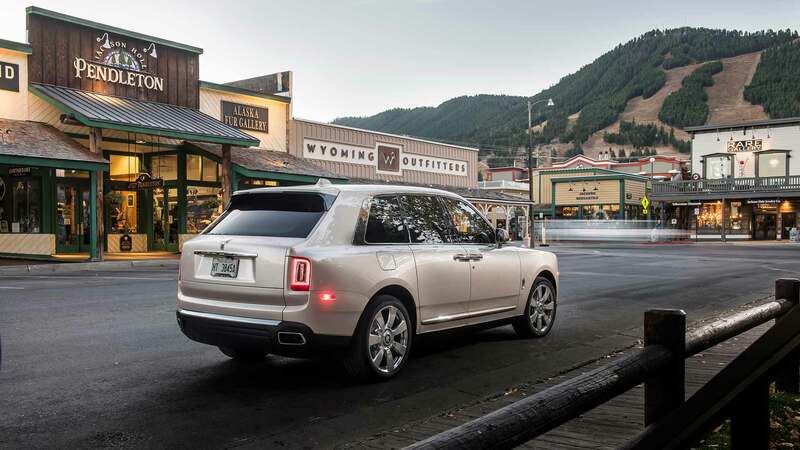 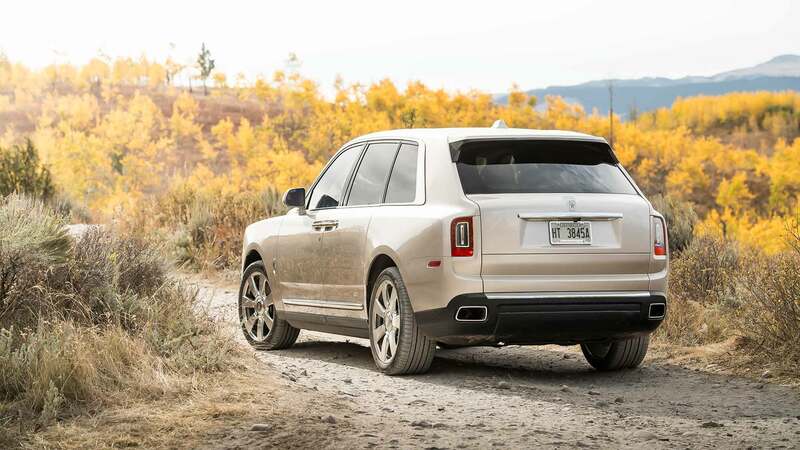 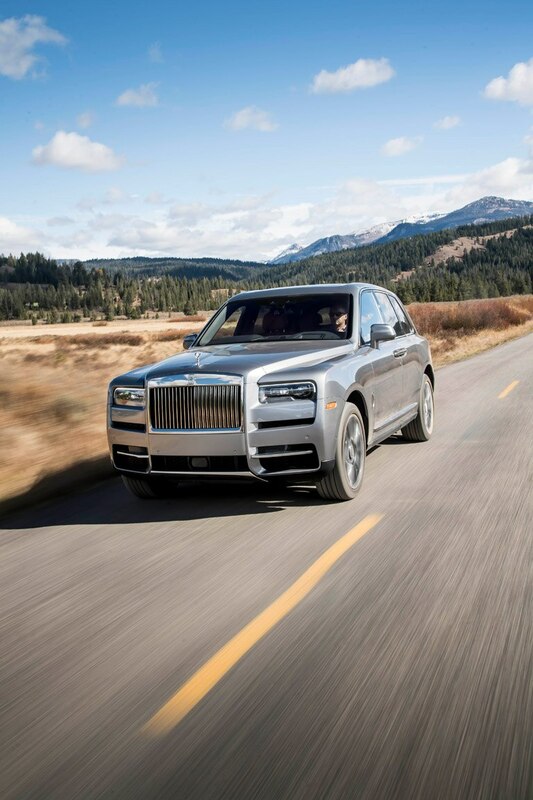 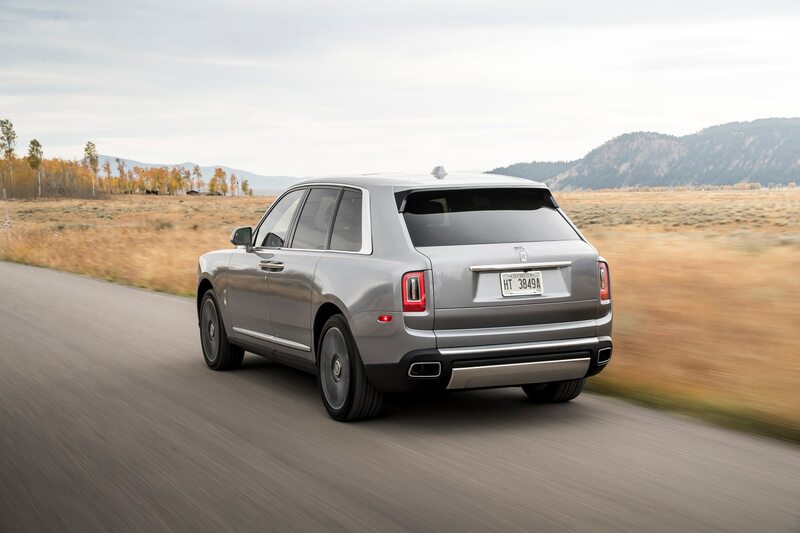 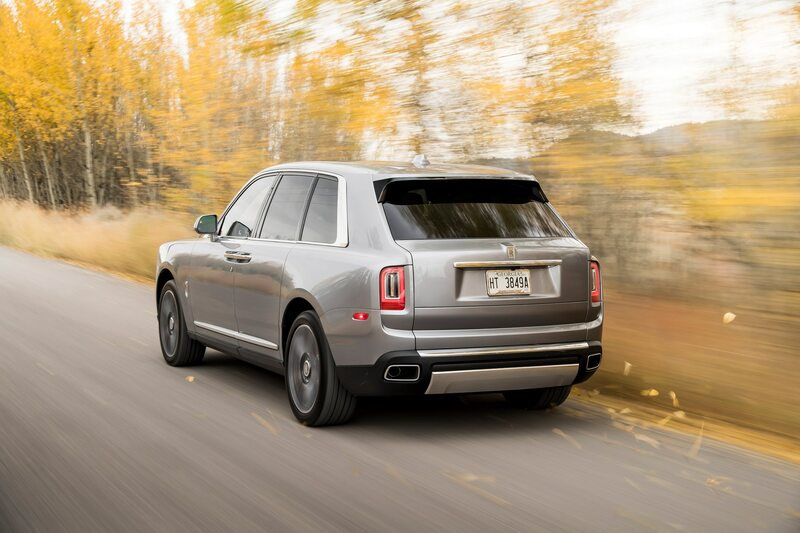 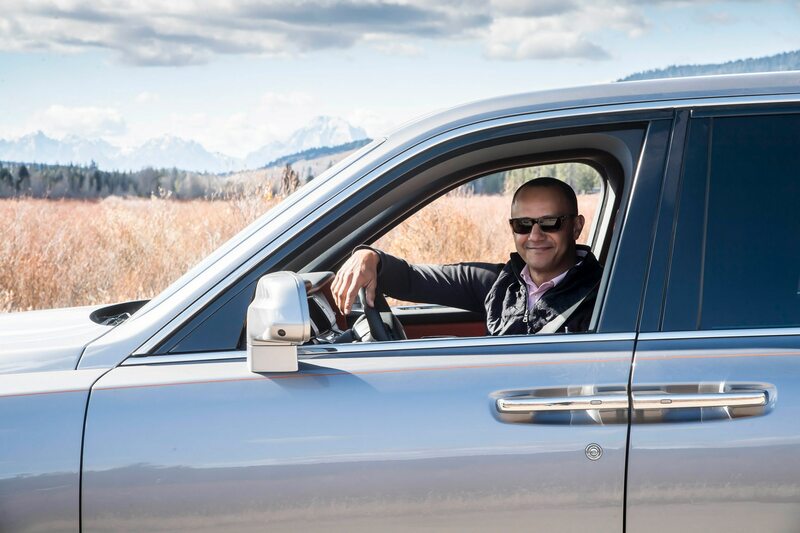 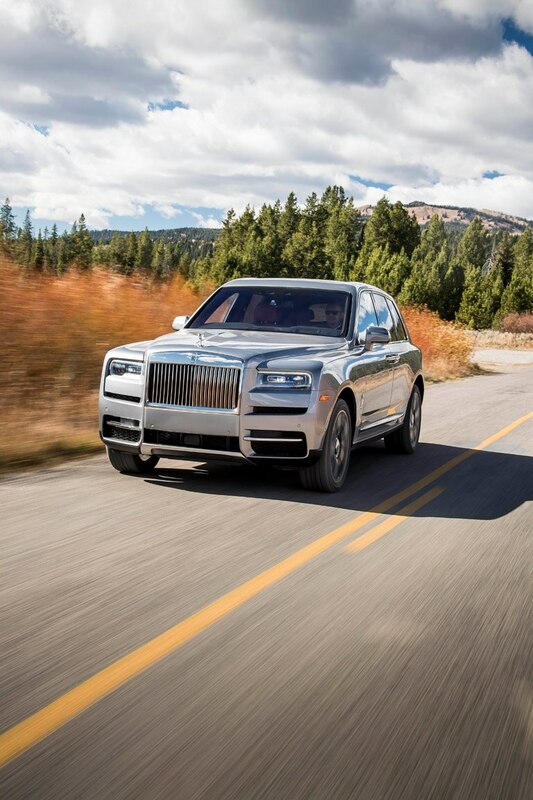 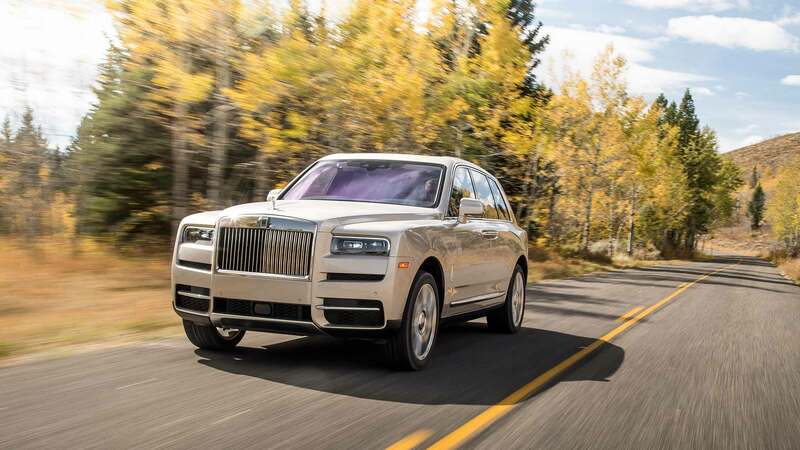 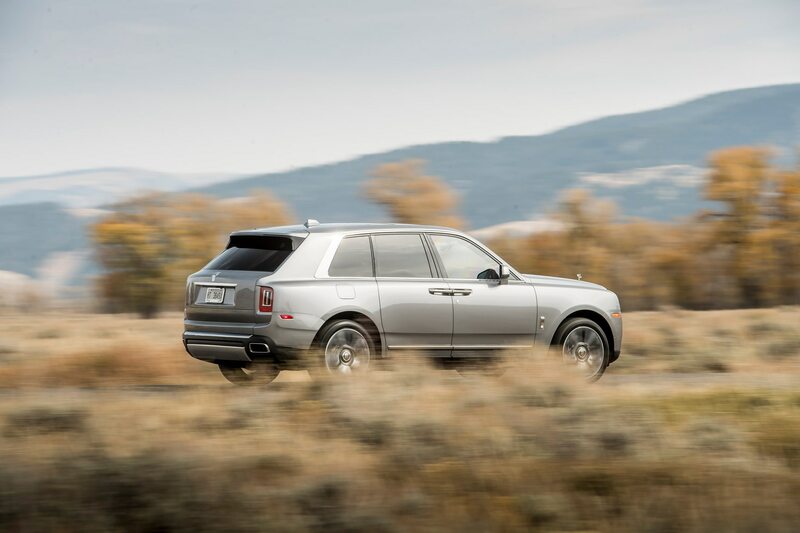 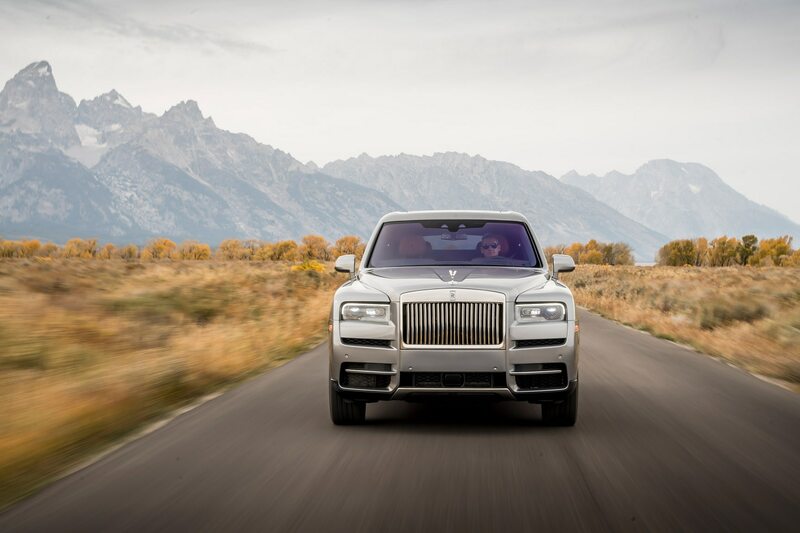 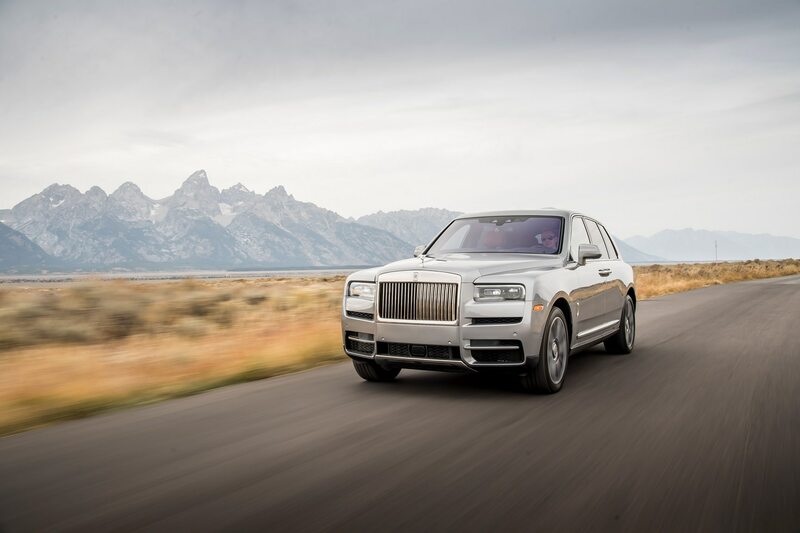 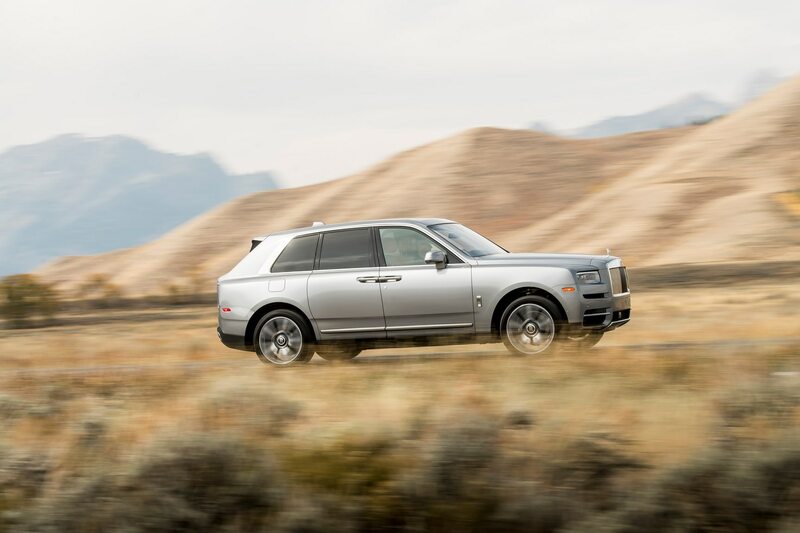 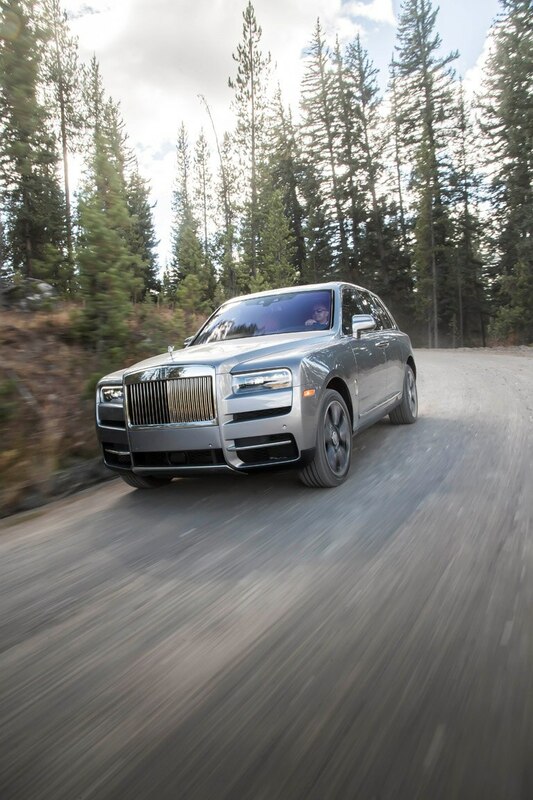 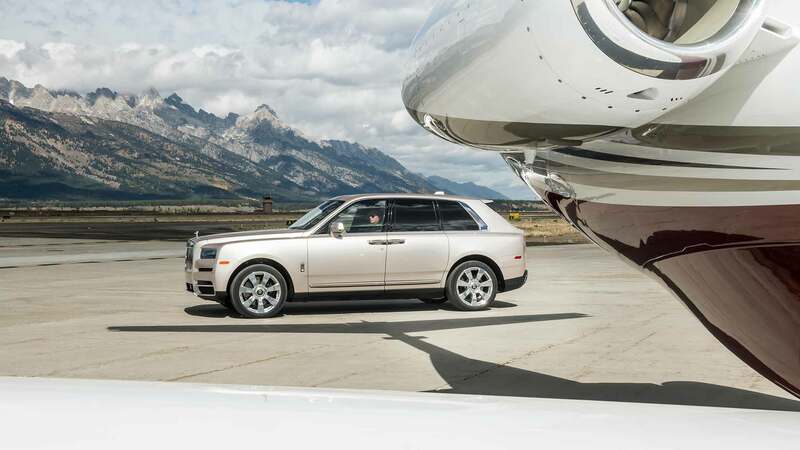 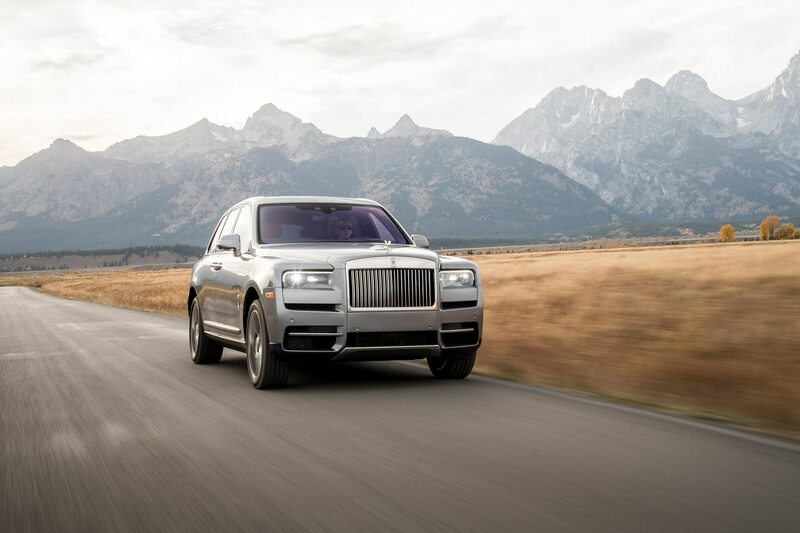 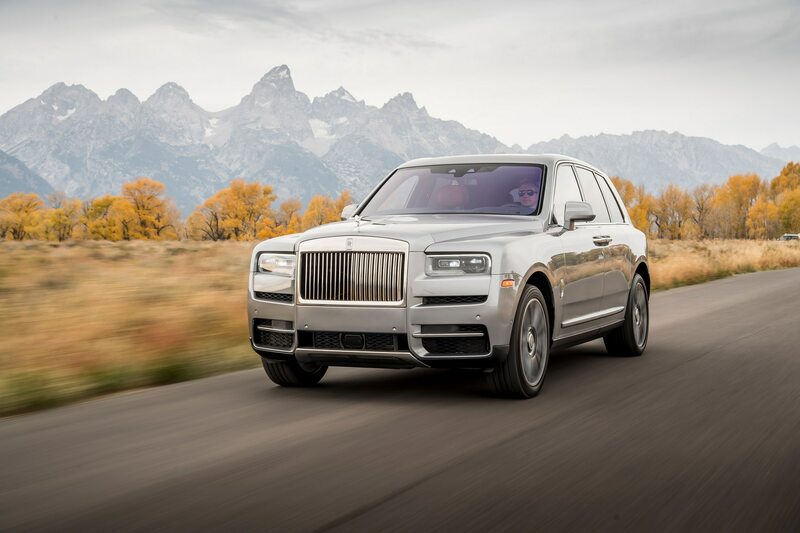 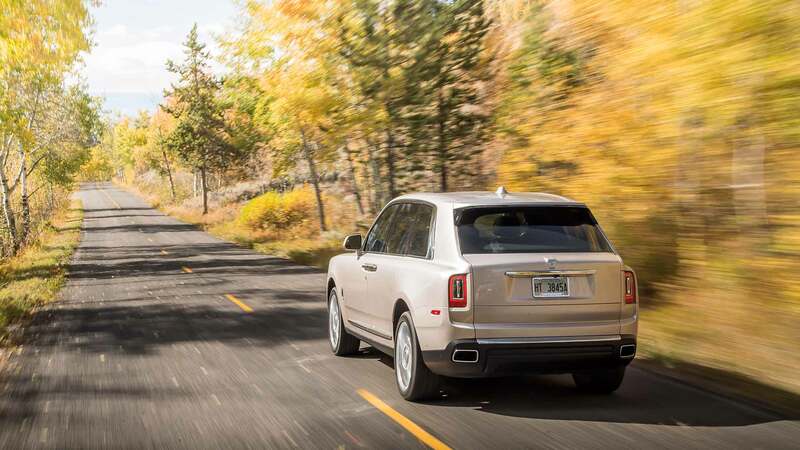 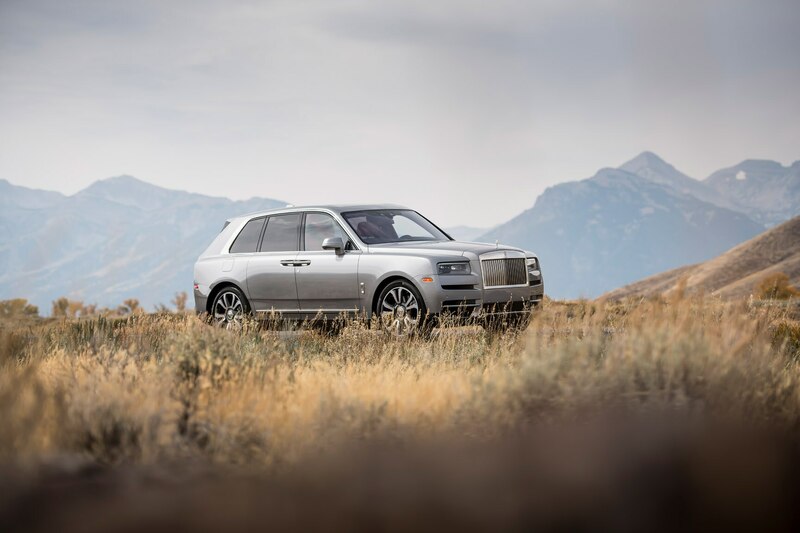 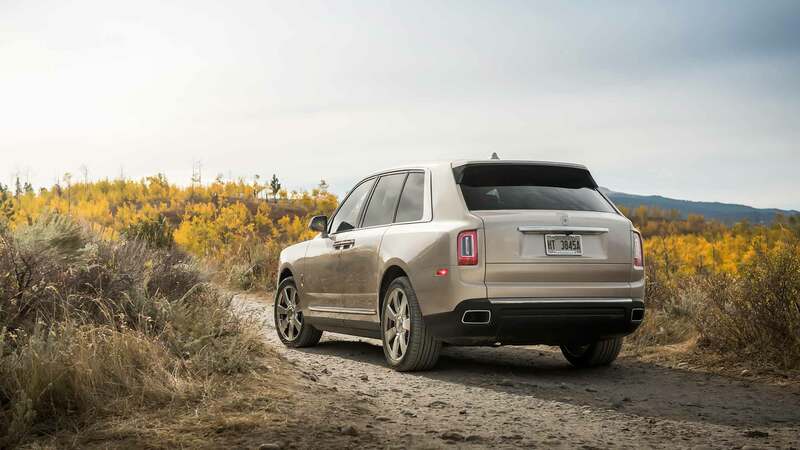 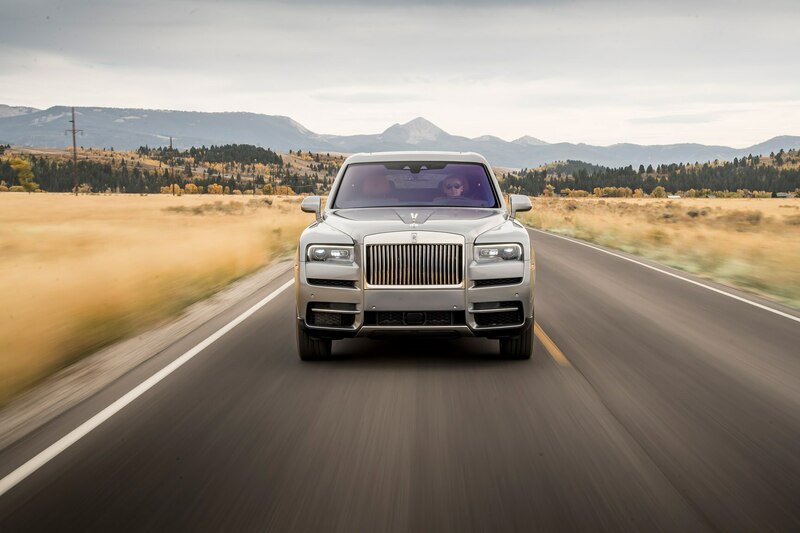 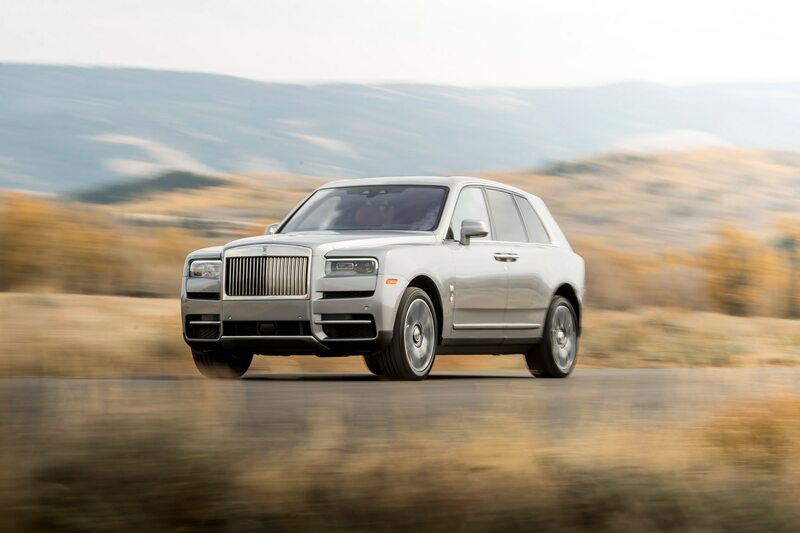 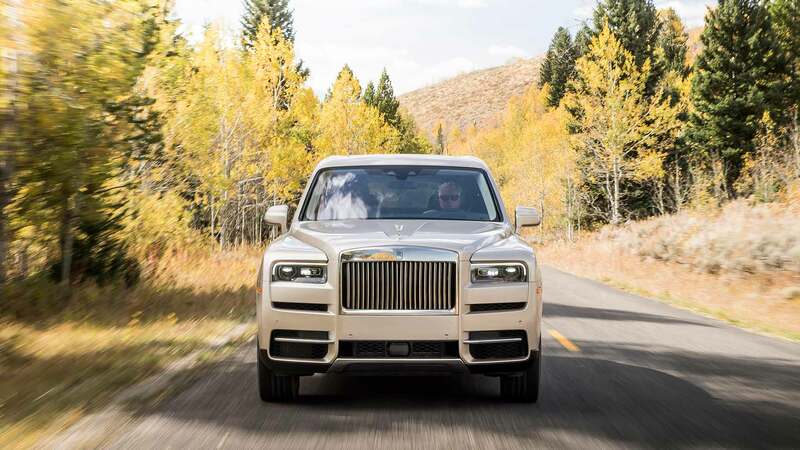 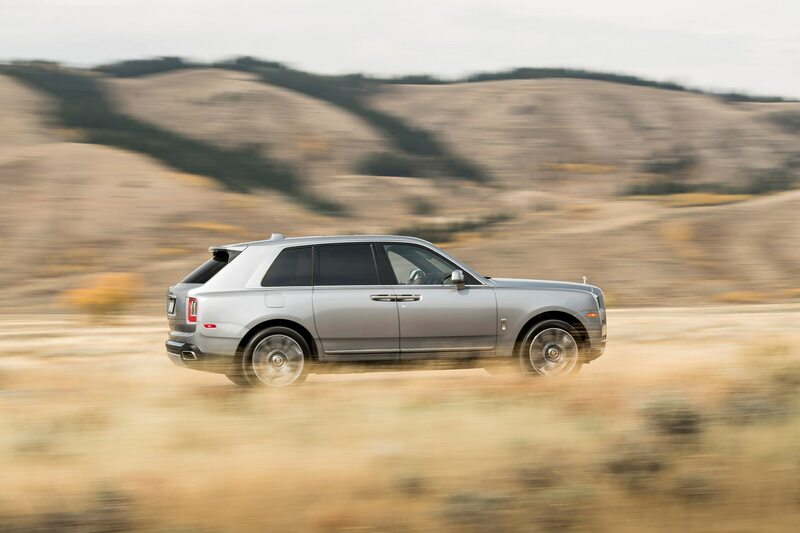 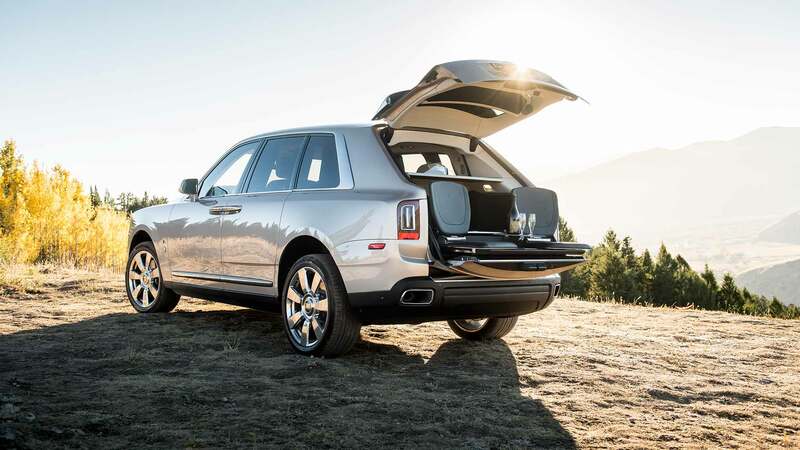 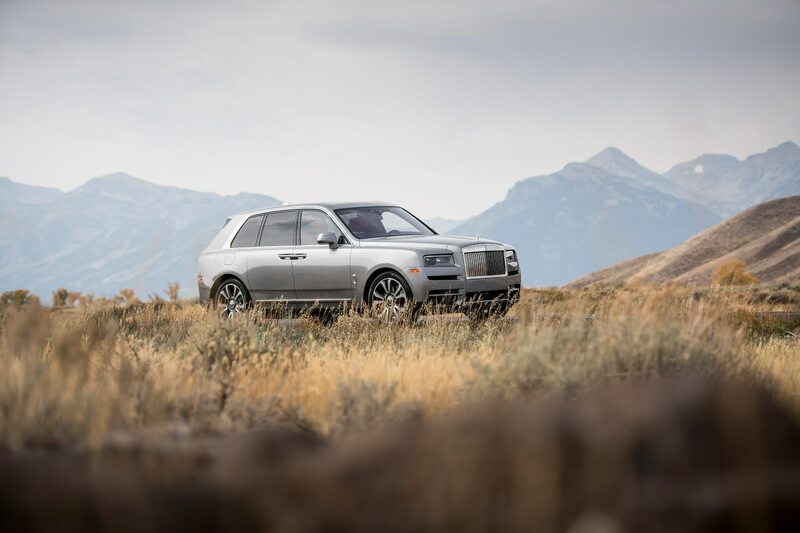 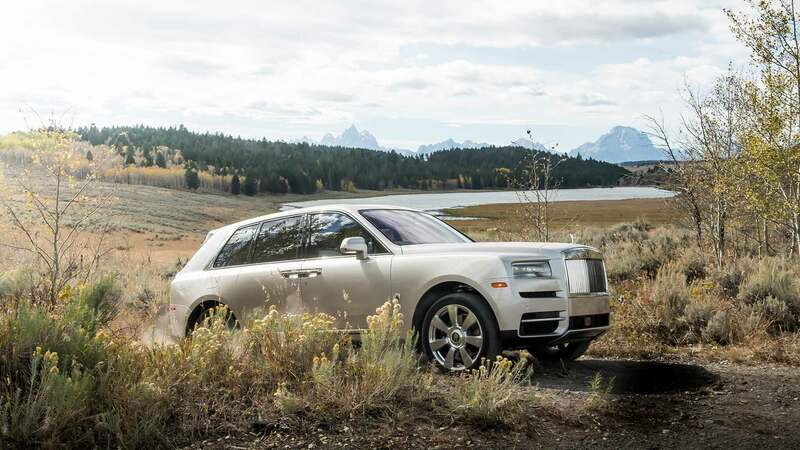 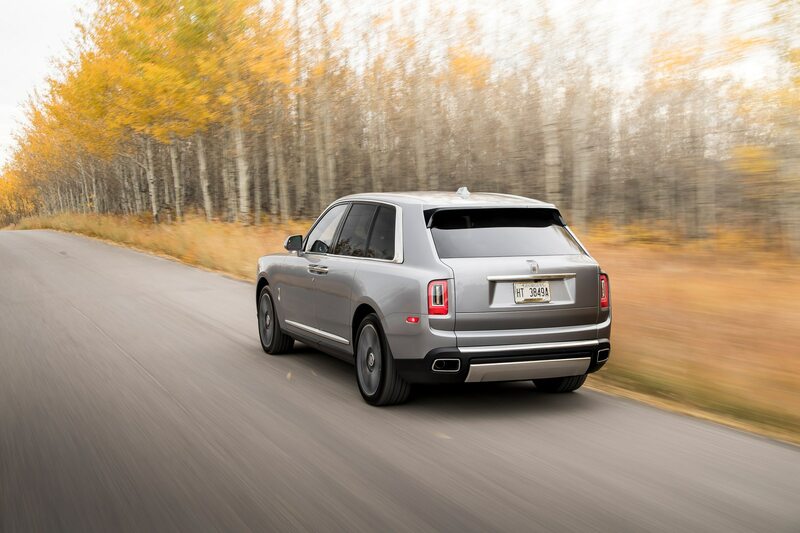 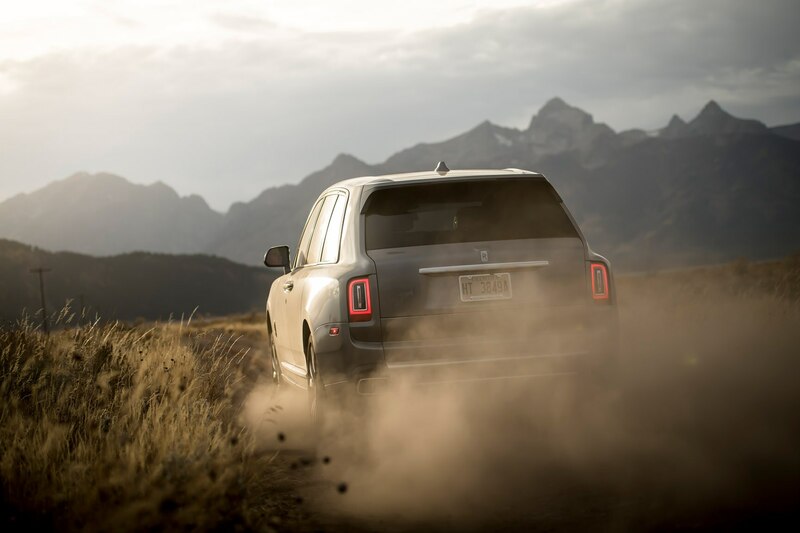 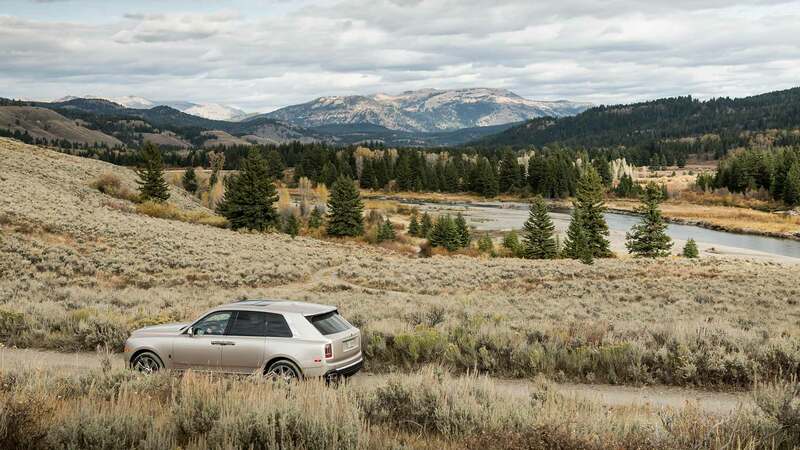 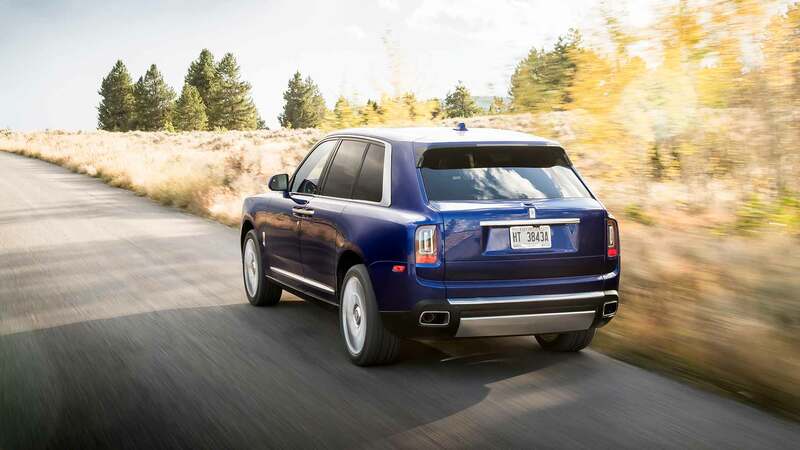 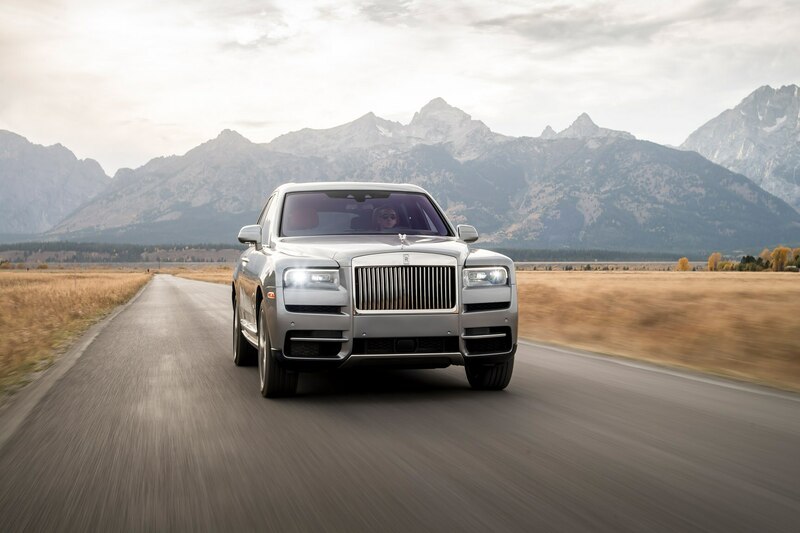 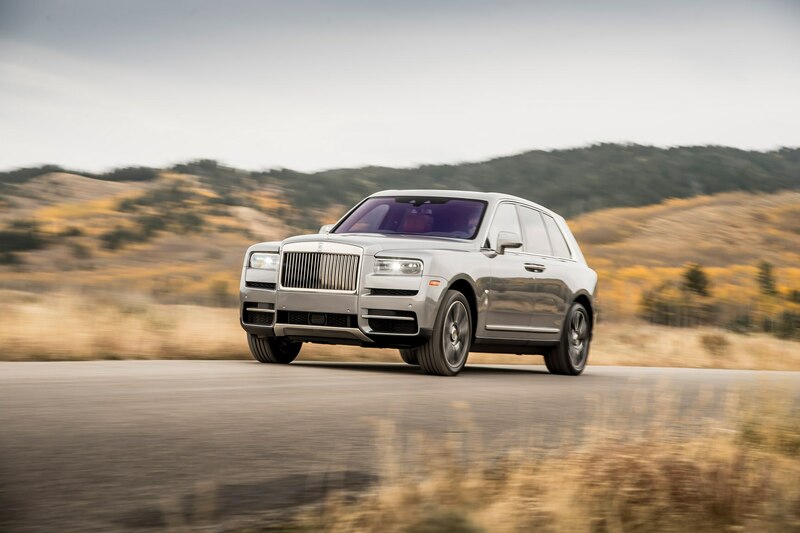 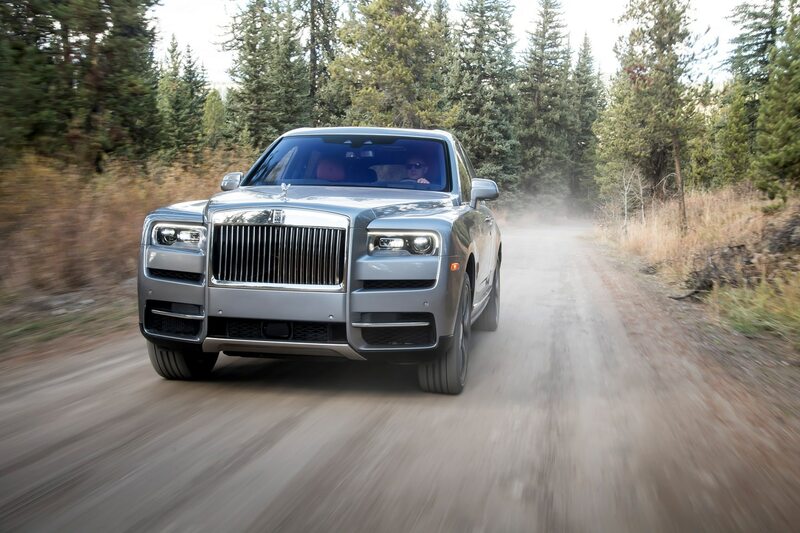 Back on the mountain it’s clear to see why the Cullinan displaces so much mass: not only do large, heavy expanses of double-paned glass offer panoramic views around the SUV, no fewer than 220 pounds of sound deadening insulation wrap the cabin. 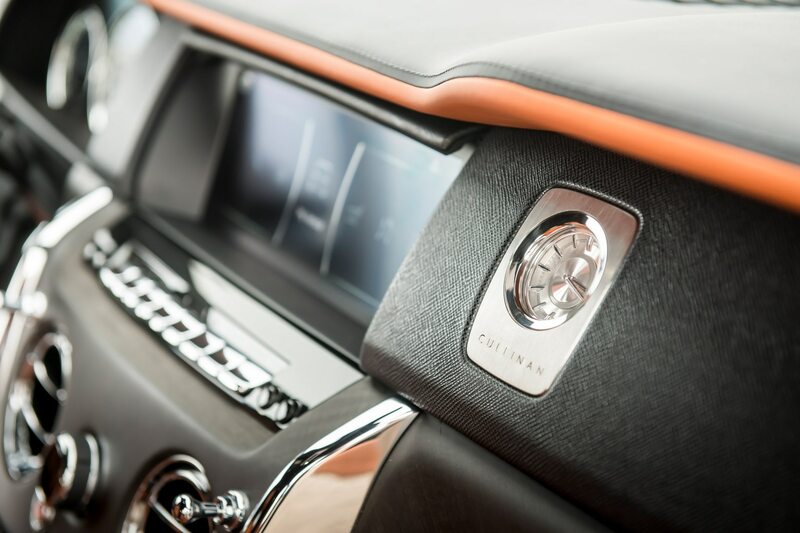 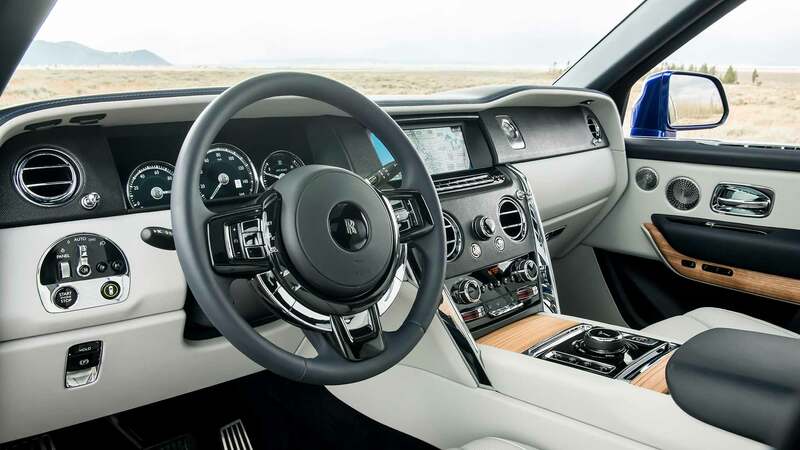 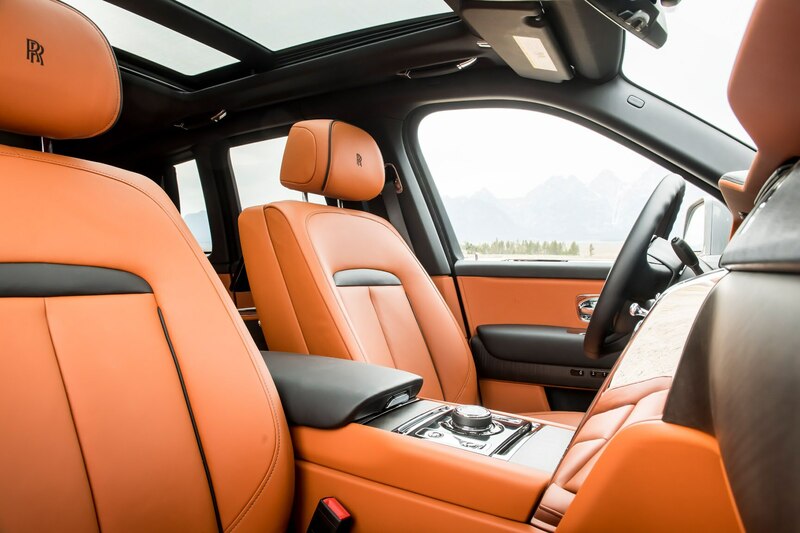 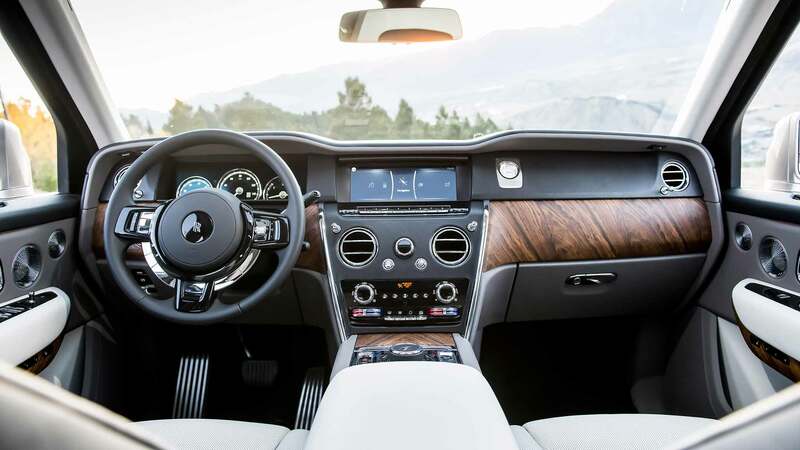 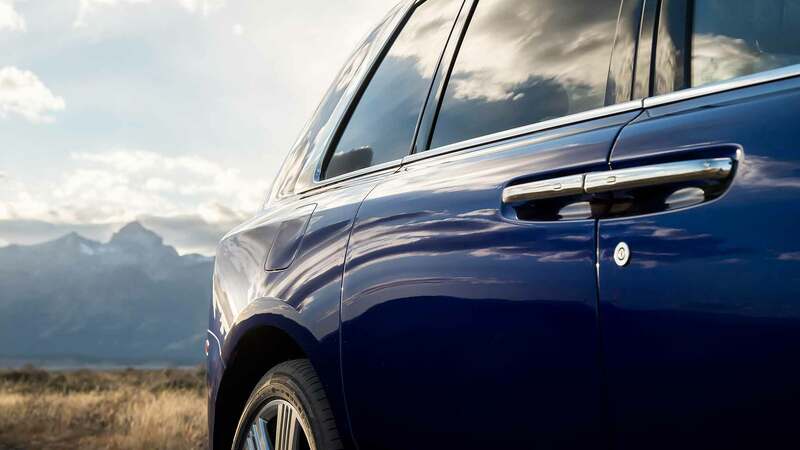 Unlike Rolls-Royce’s traditional sedan configuration, which sets rear passengers deep behind the D-pillar, the Cullinan’s execution places the pillar aft of the rear seats with a relatively low glass sill that further enhances outward visibility. 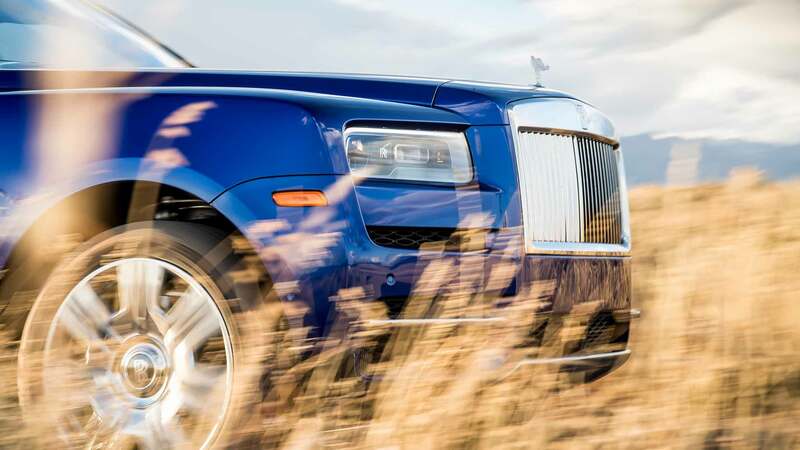 Want to dodge prying paparazzi lenses? 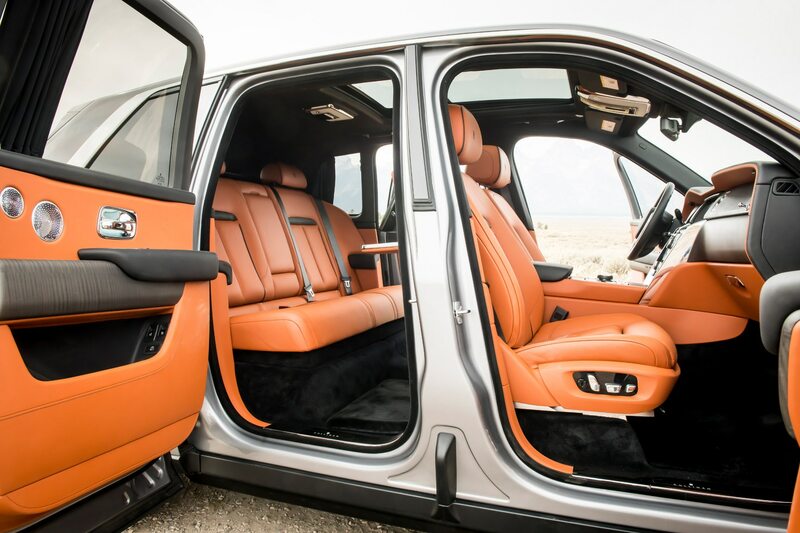 You’ll have to go opaque with a limo tint. 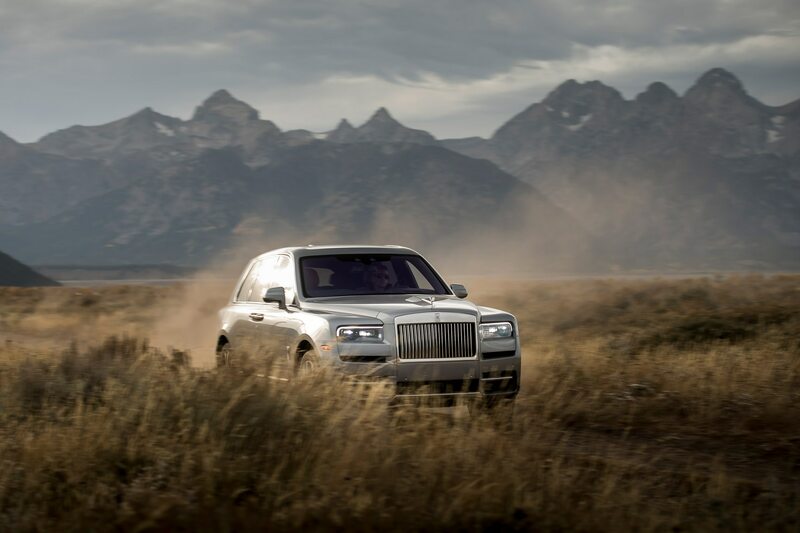 Off Road mode softens throttle response, recalibrates suspension with elevated ride height and stiffer damping, and loosens the reins on traction control to enable some wheel slip. 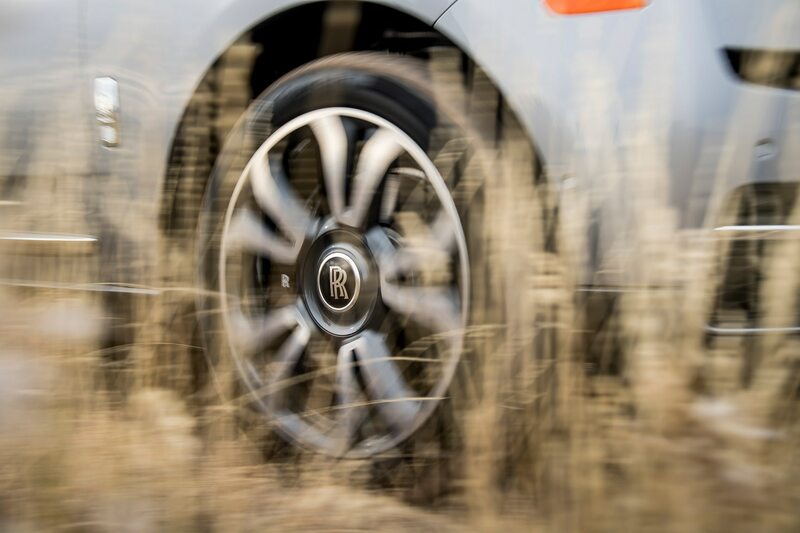 DSC can also be switched off if you’re intent on doing your fiercest WRC driver impersonation. 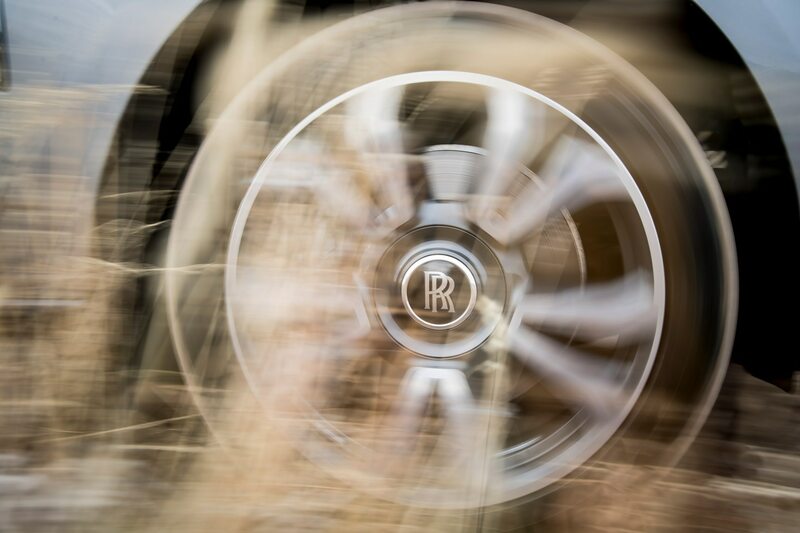 But let’s get serious for a minute: our off-roading excursion is an unlikely scenario for the vast majority of Cullinan owners. 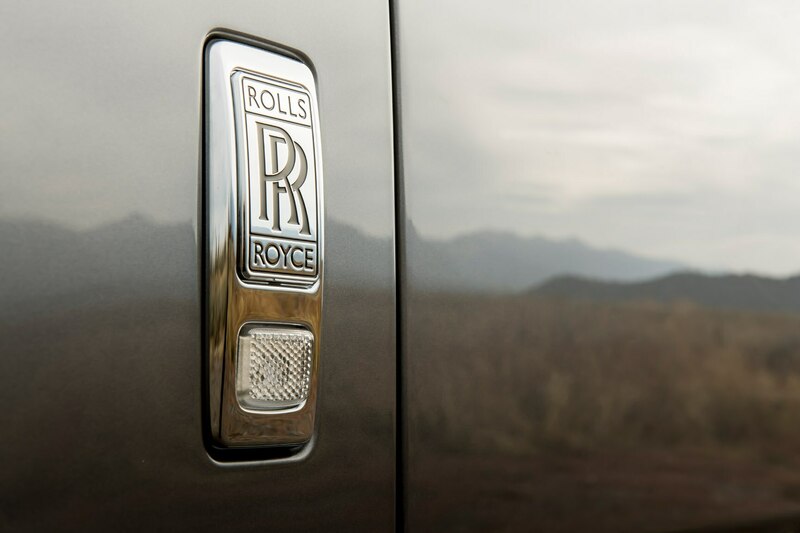 Think: not impossible, but highly improbable. 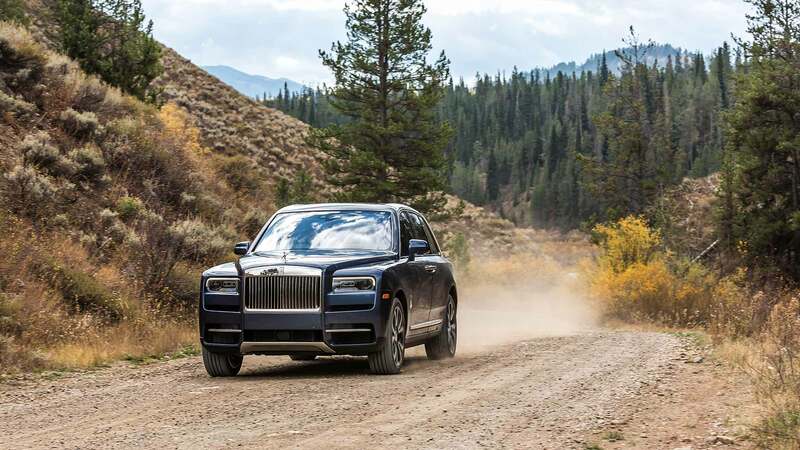 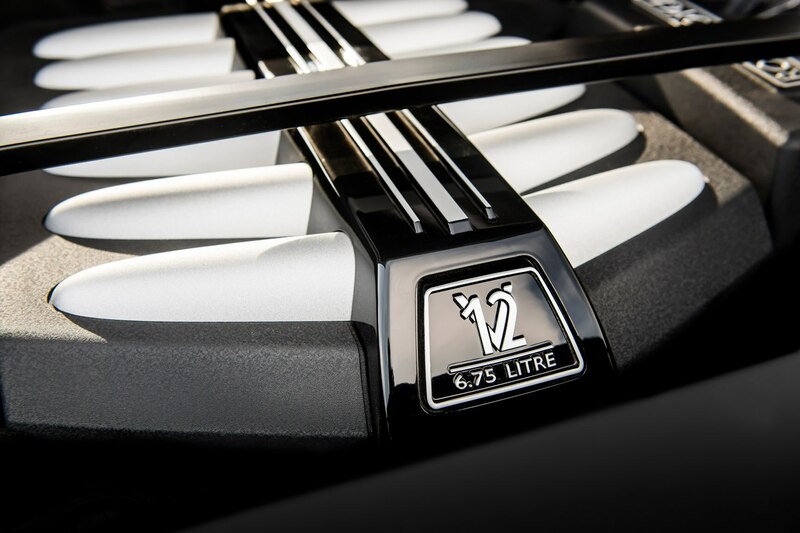 Regardless, while the 6.75-liter V-12 has been retuned for even more low end grunt (peaking with 627 lb-ft at a mere 1,600 rpm), the power delivery becomes lazily progressive when climbing loose gravel, encouraging a healthy application of throttle that doesn’t result in any scary lurches or unexpected moves. 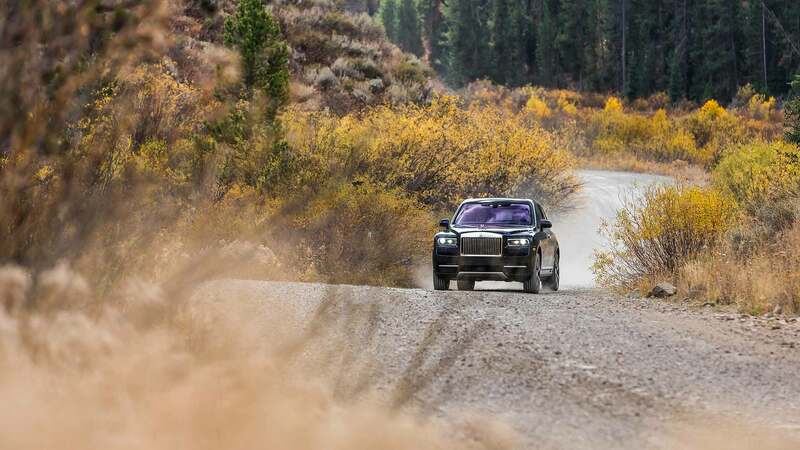 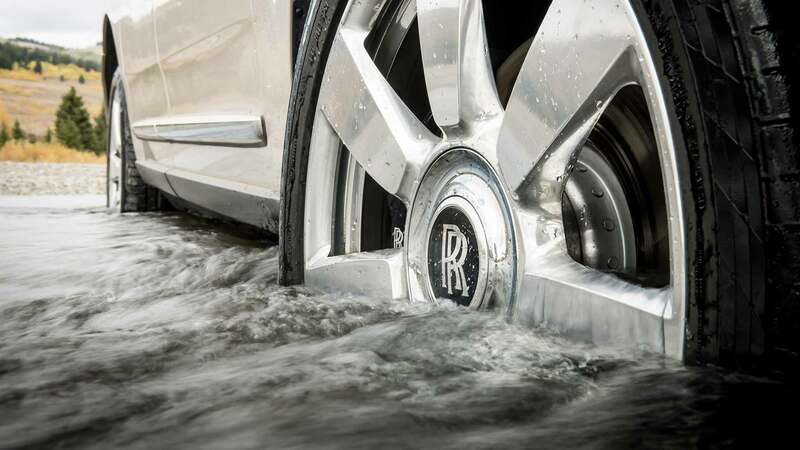 It’s almost like driving an electric vehicle in limp mode; go ahead and floor it, there’s no danger of overcooking a corner or spinning those 22-inch wheels (Rolls-Royce’s biggest yet) while negotiating the steep grade. 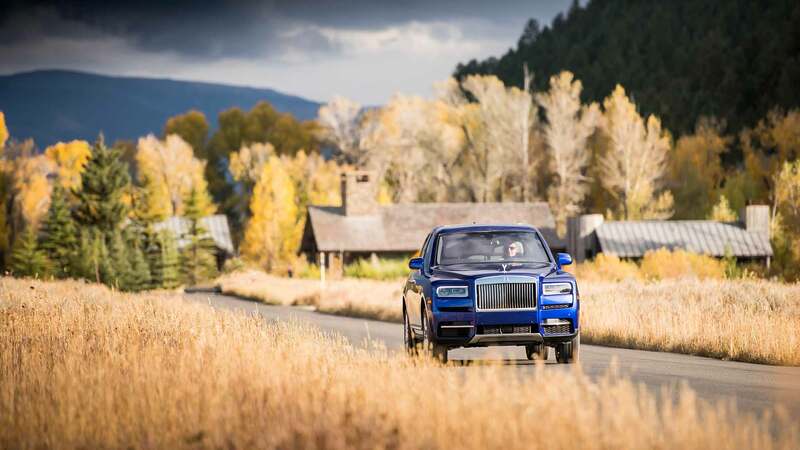 The Cullinan’s summer tire-clad wheels performed surprisingly well while billy goat-ing their way up the tree lined trail, and the hill descent system proved equally effective at maintaining a slow and steady downward pace. 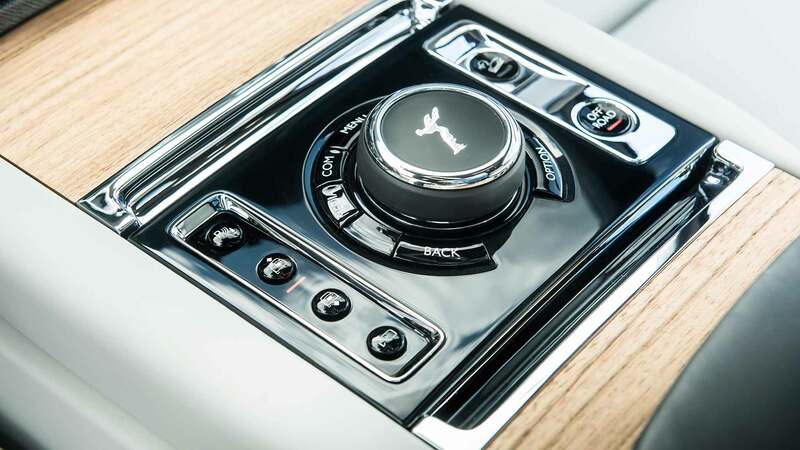 Use the steering wheel-mounted cruise control buttons to bump 1 mph increments of controlled creep up or down, just like a Range Rover. 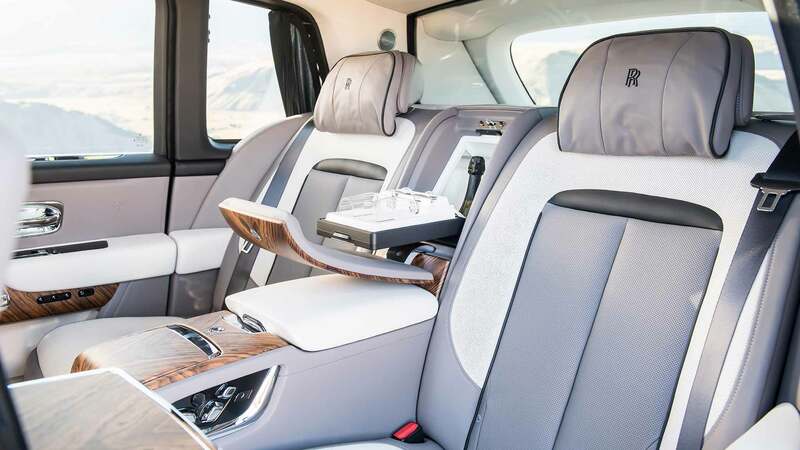 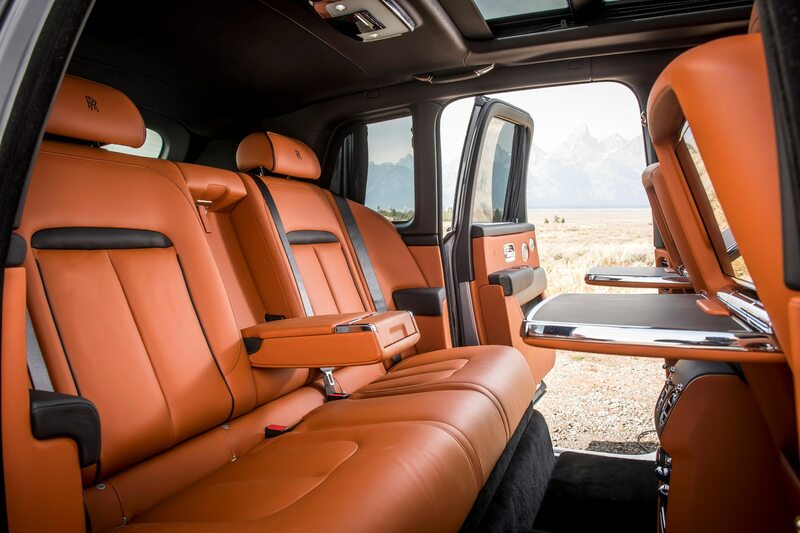 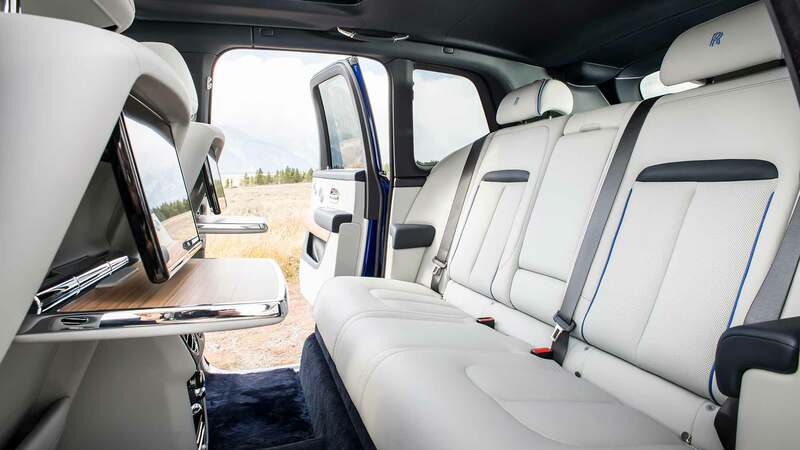 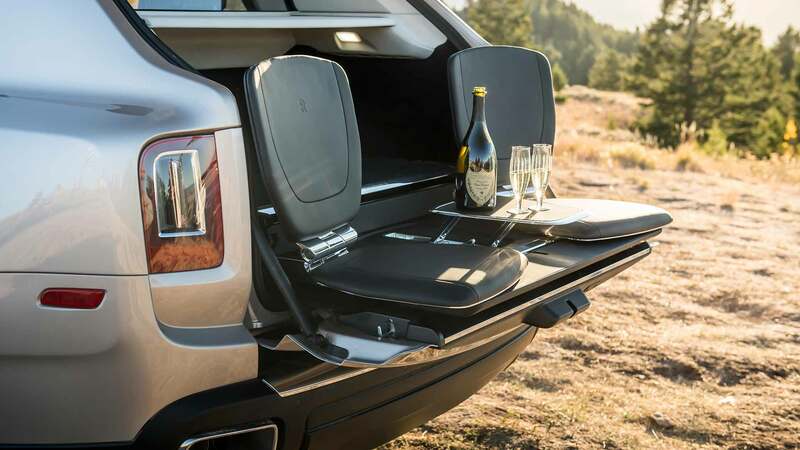 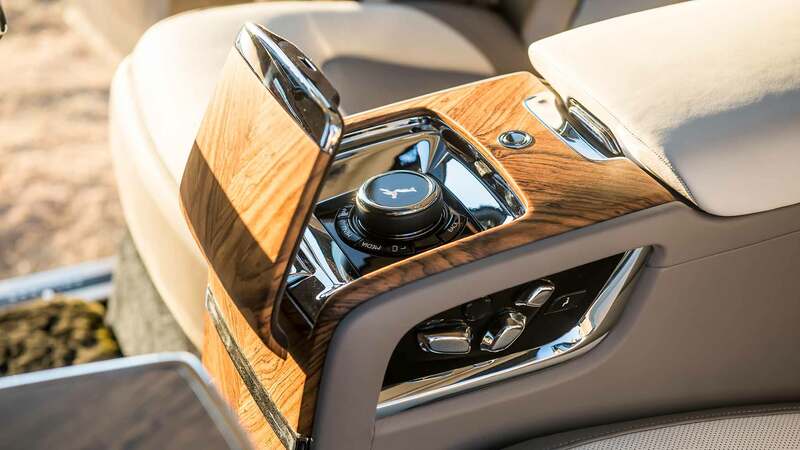 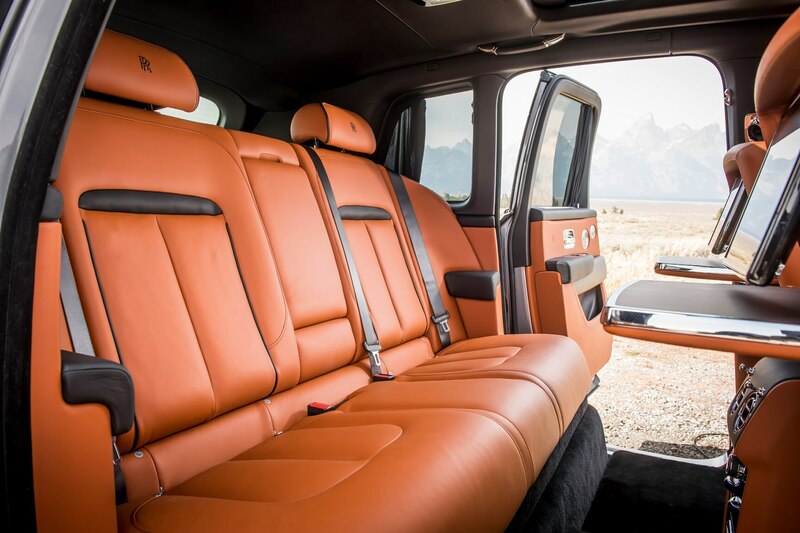 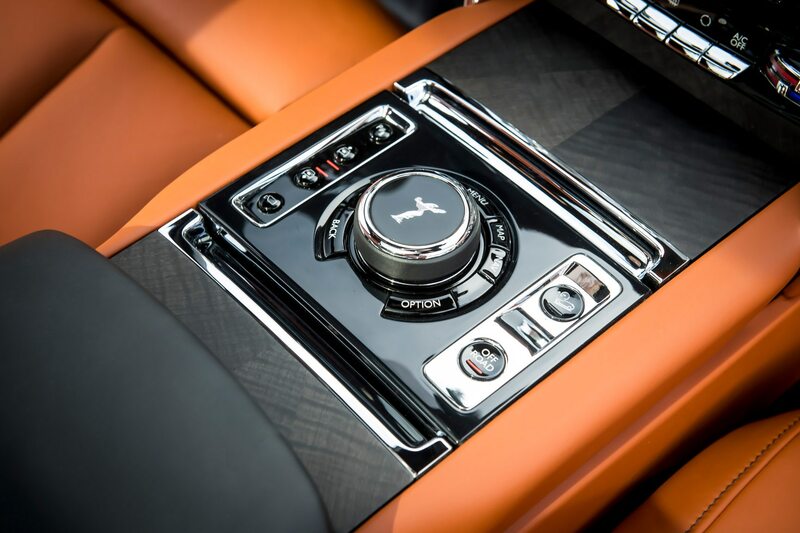 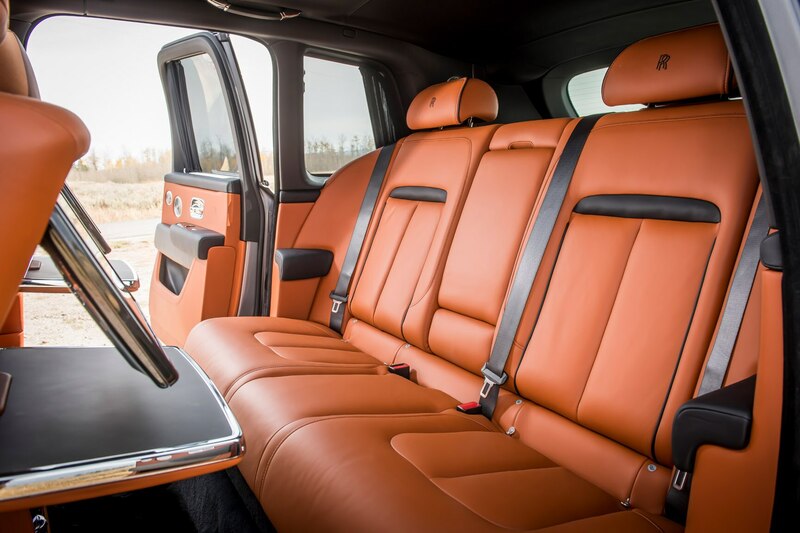 Cullinan can also be ordered with rear compartment packages that offer two leather-lined spectator seats and a small cocktail table that deploy for tailgate parties. 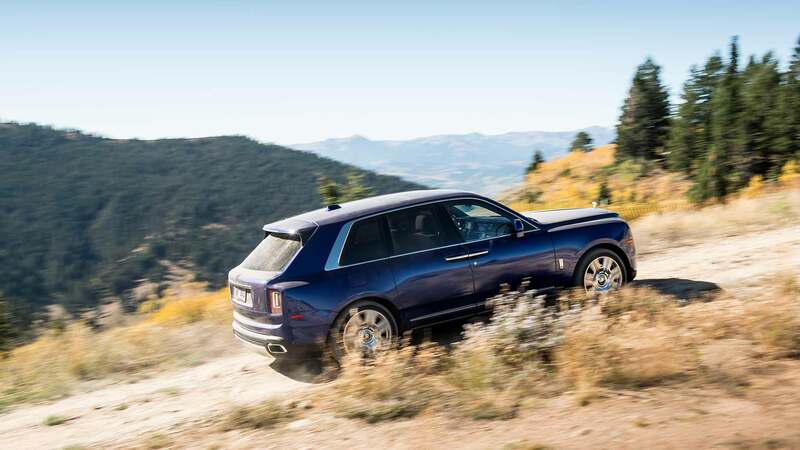 There’s a certain relief to guiding the $325,000 Cullinan away from the rock-strewn summit and onto the road, for obvious risk-exposure reasons. 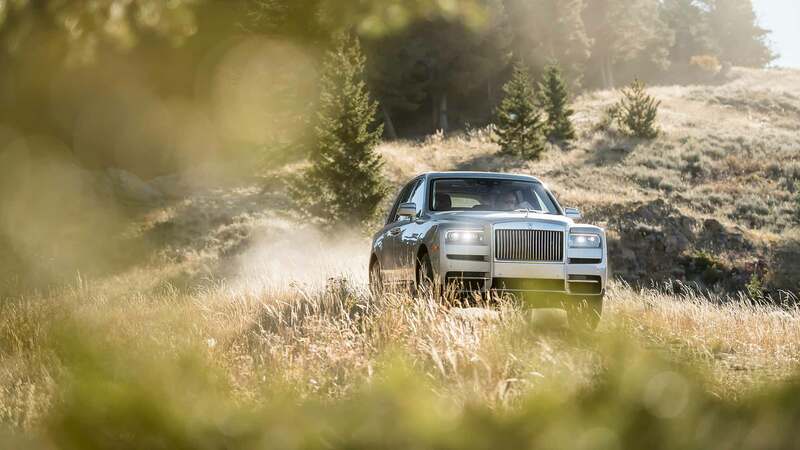 Disabling Off Road mode drops it closer to earth while softening the suspension, and throttle response becomes a bit more immediate but still rather progressive and intuitive. 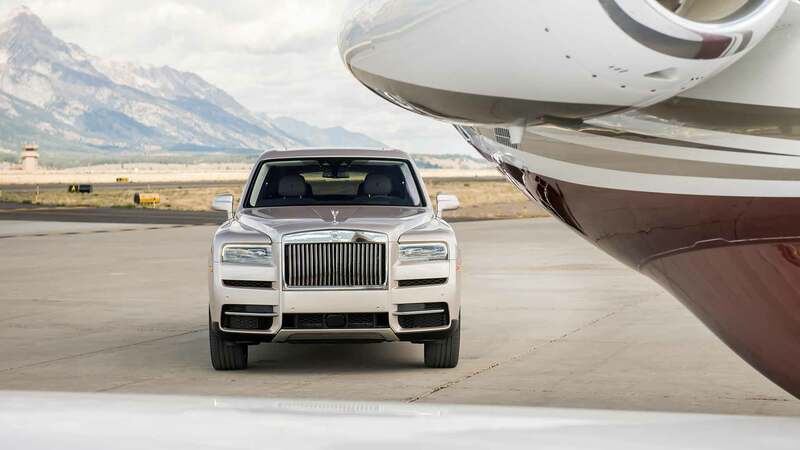 Although Rolls-Royce claims a rather respectable 0 to 60 mph time of 5 seconds flat, the sensations from inside the cabin feel about as isolated as an A380 at takeoff: a hushed hum escalates ever so subtly into the cabin, quieted by the aforementioned sound deadening materials and foam fillers inside the front tires. 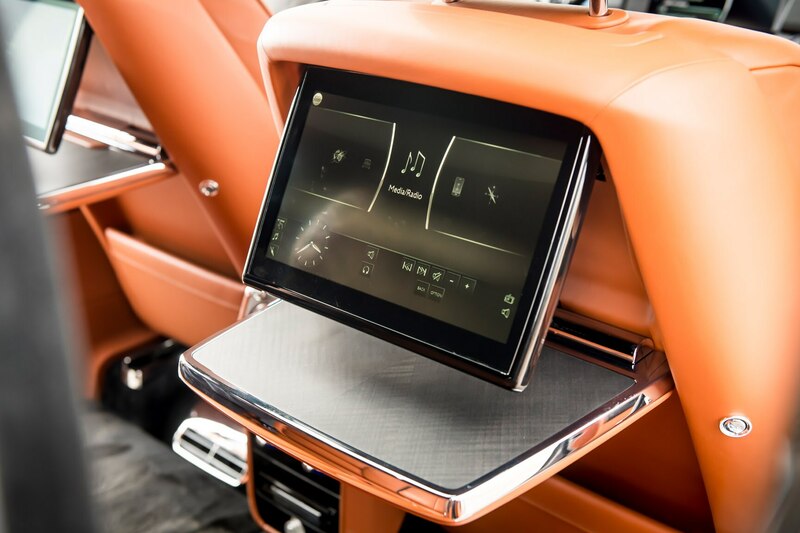 Waftalicious, indeed. 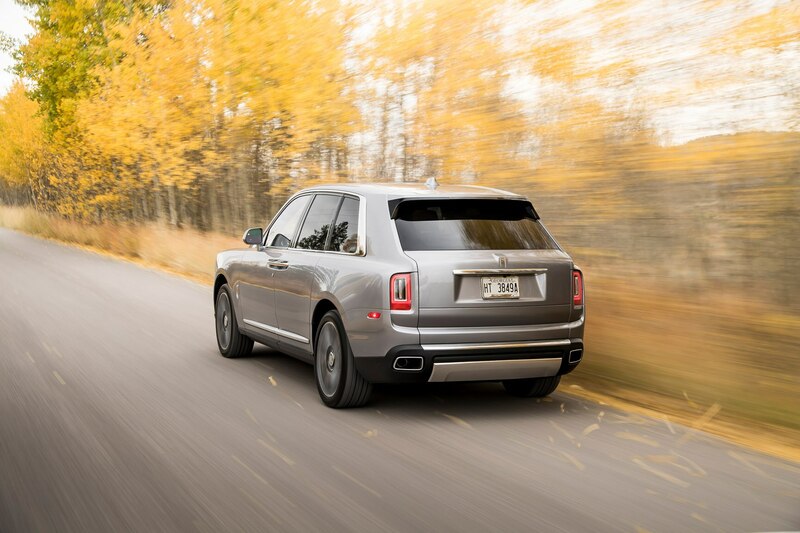 While electronically variable stabilizer bars do their part to manage body roll, there’s still perceptible squishiness to the proceedings, though the light effort steering (which turns the rear wheels in counterphase at lower speeds, and in phase at higher speeds) does make Cullinan more maneuverable than you might expect, especially during lower speed turns. 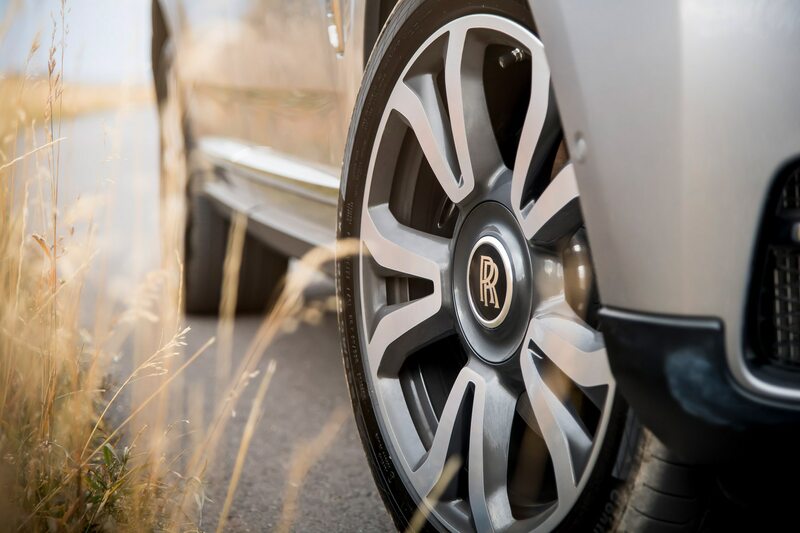 Crave crisper, more controlled handling? 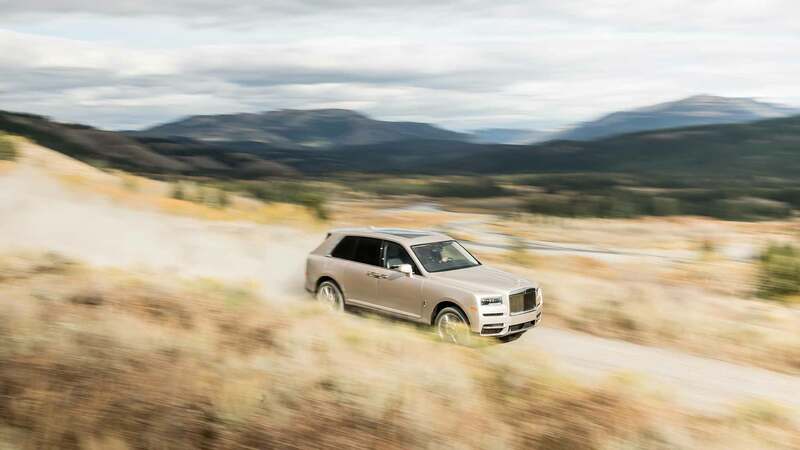 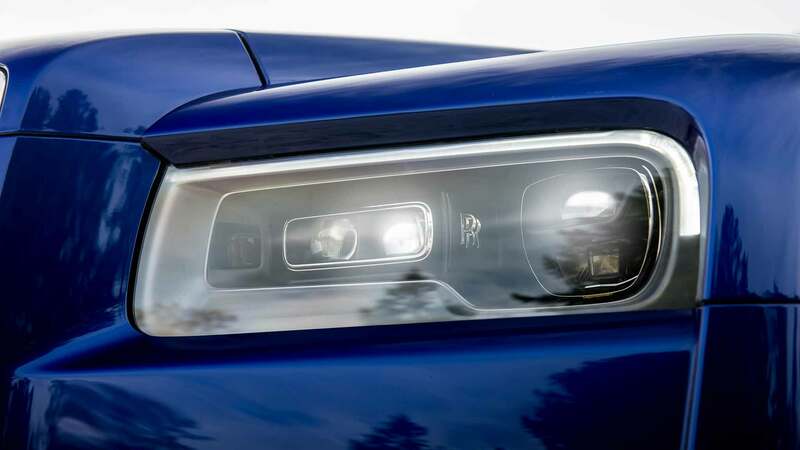 You might not be Cullinan material; the 48-volt enabled active suspension systems utilized by the Bentley Bentayga and Lamborghini Urus make them the spritelier, while Porsche and Range Rover also offer more on-road agility. 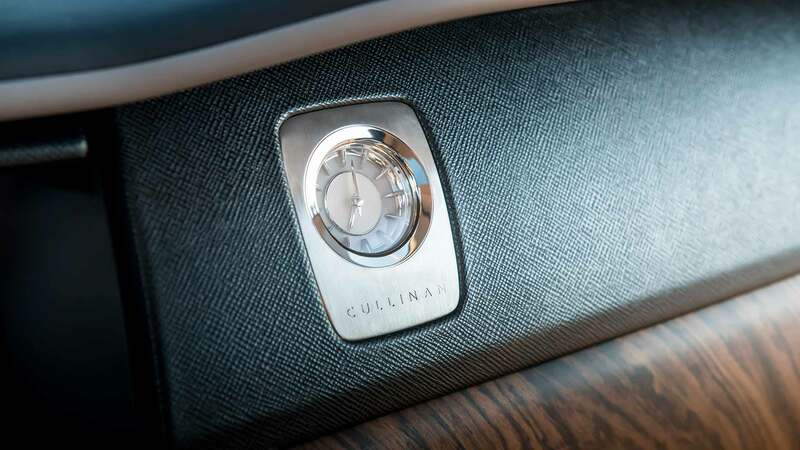 But Cullinan distinguishes itself over long distance, high-speed travel, where the airy cabin and a buttery, “Magic Carpet” ride make it a remarkably comfortable place to spend a few hours. 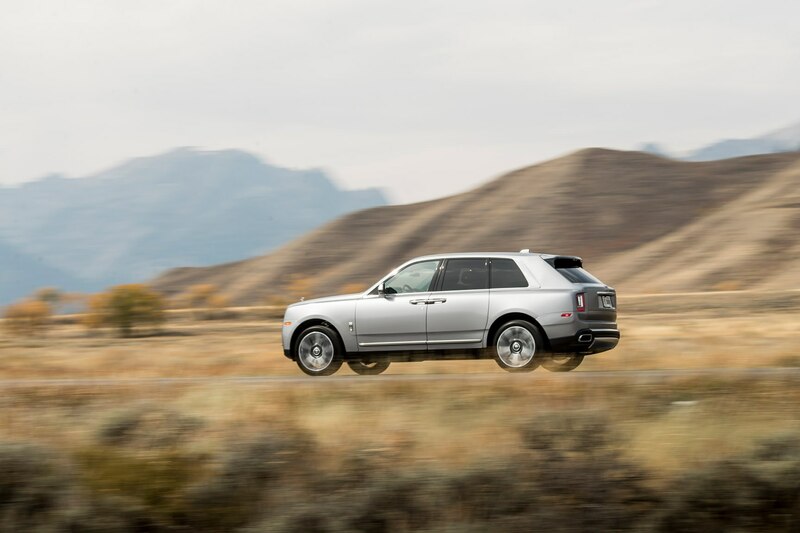 Though it appears to have the aerodynamic profile of a cement wall, Cullinan has no issue cruising along at triple digit speeds while barely revealing a whiff of exertion. 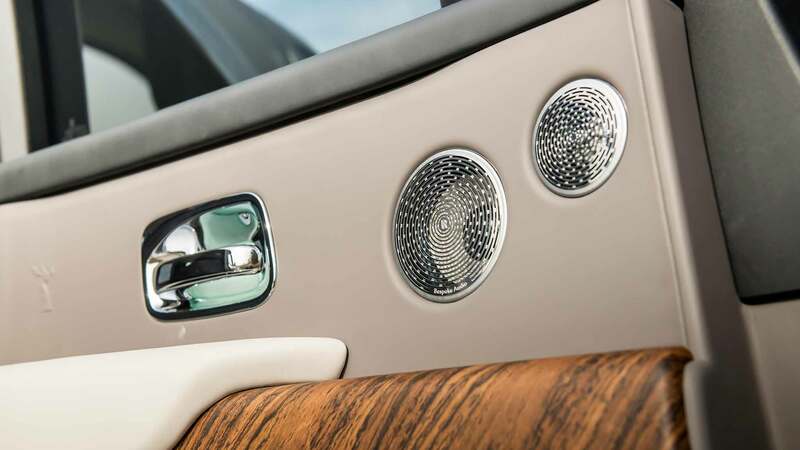 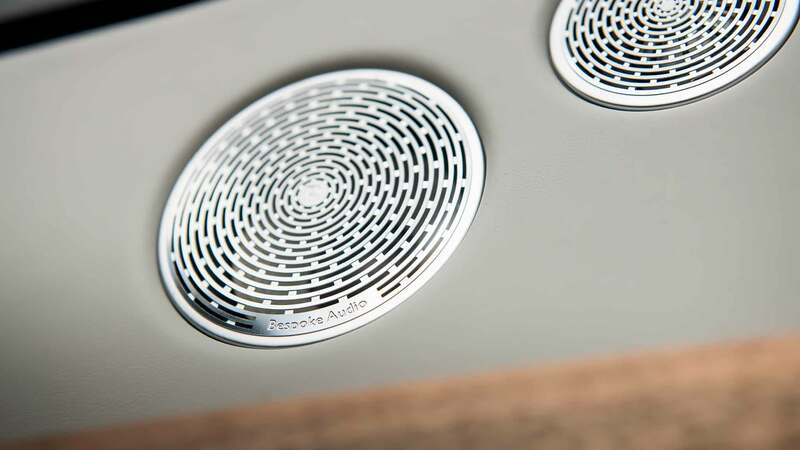 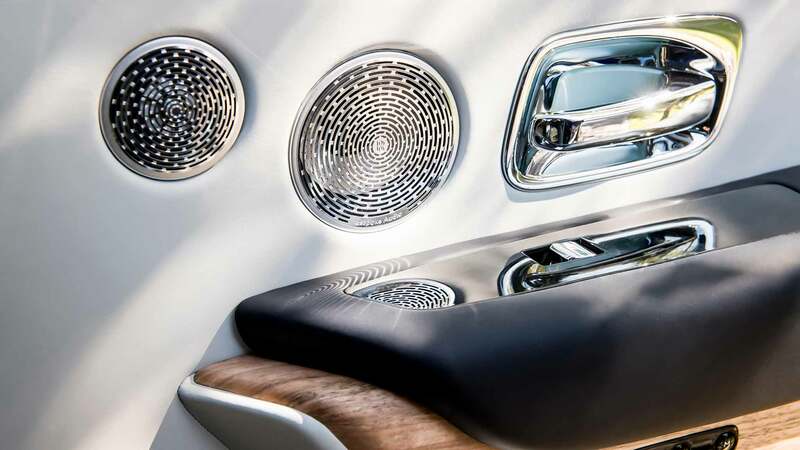 Rolls-Royce’s in-house developed stereo system uses components sourced from suppliers and tuned by a noted audio engineer. 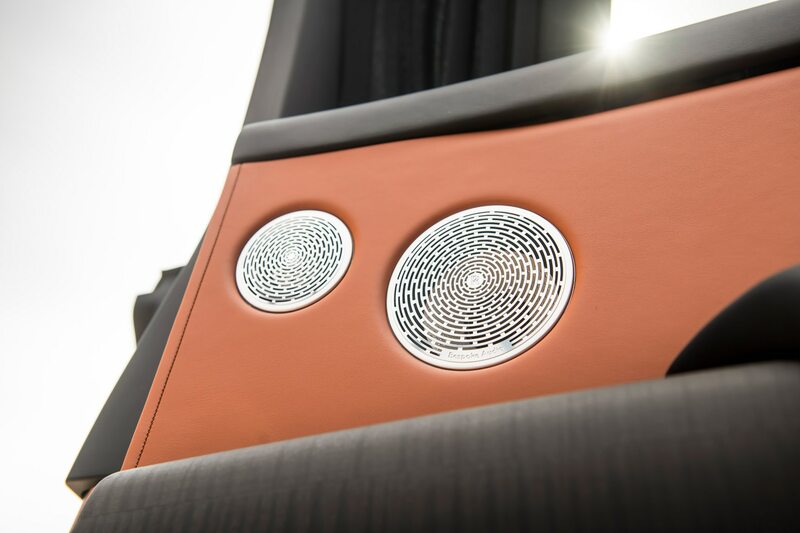 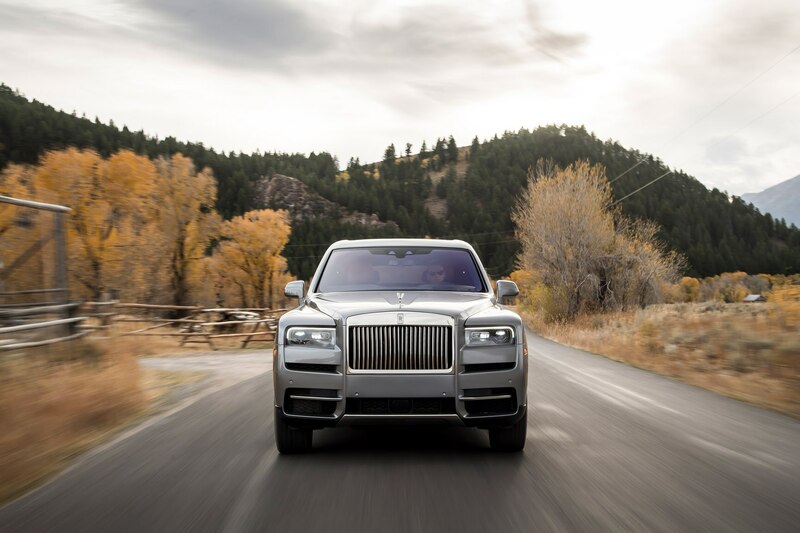 The system’s sound is particularly clear and strong, no doubt aided by the rigidity and isolation of the marque’s new proprietary aluminum architecture, which was first deployed on the new Phantom. 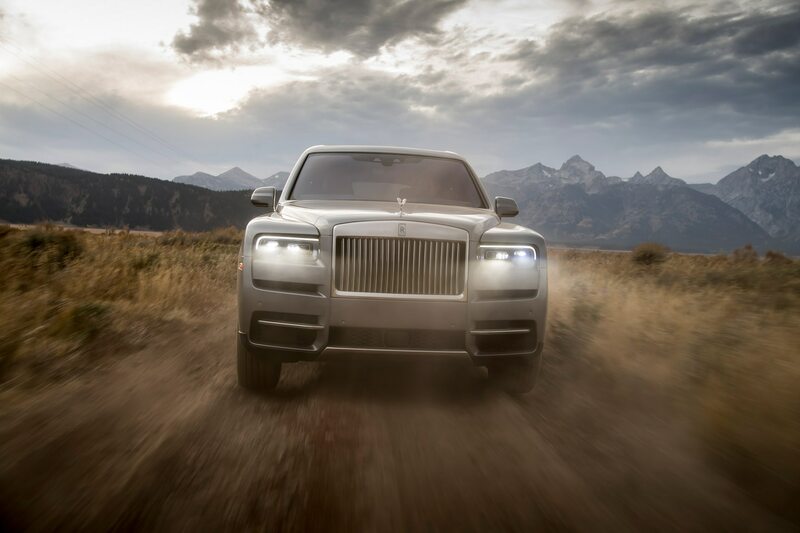 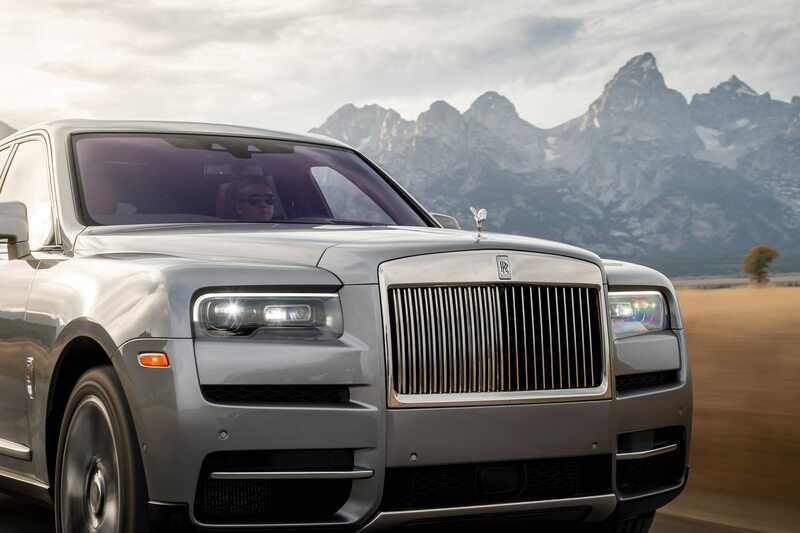 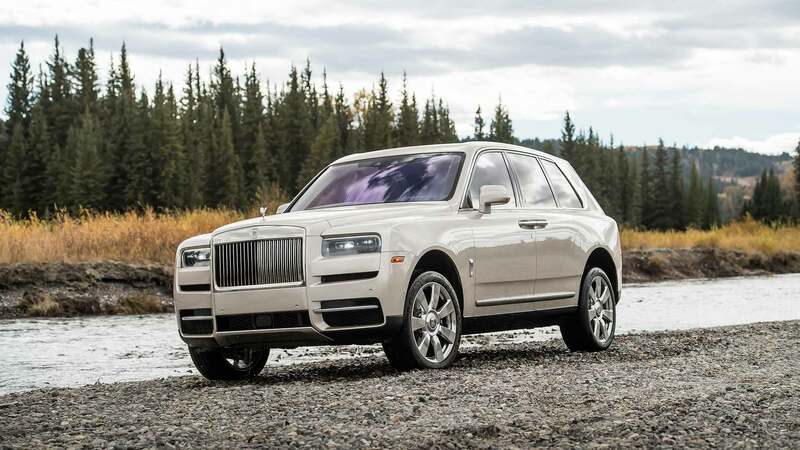 It could be said that a Rolls-Royce SUV was inevitable. 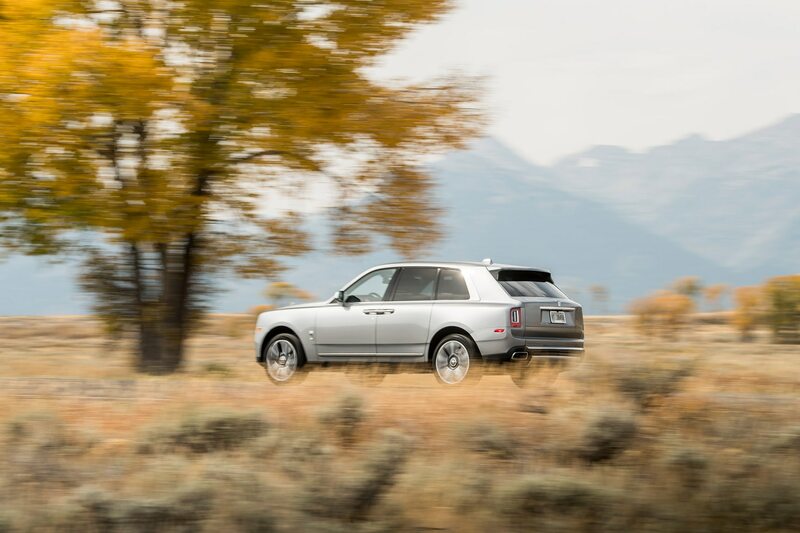 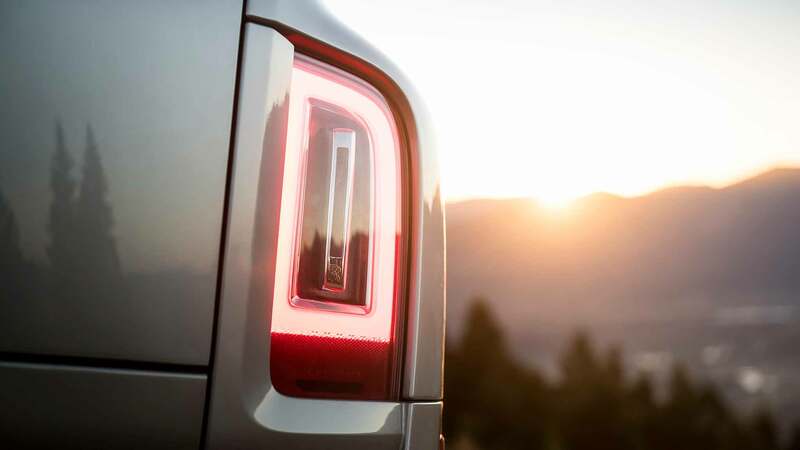 But according to director of global communications Richard Carter, the British brand didn’t want to first to the ultra-luxury sport ’ute party, and in fact has no problem being last. 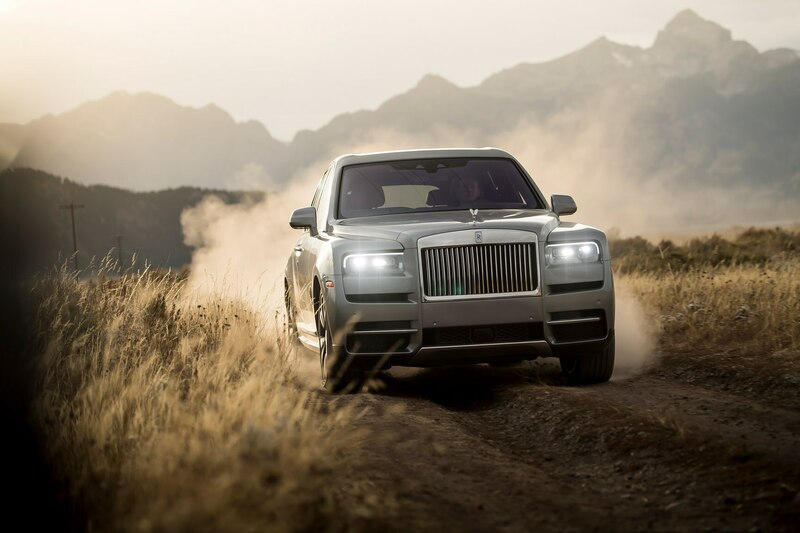 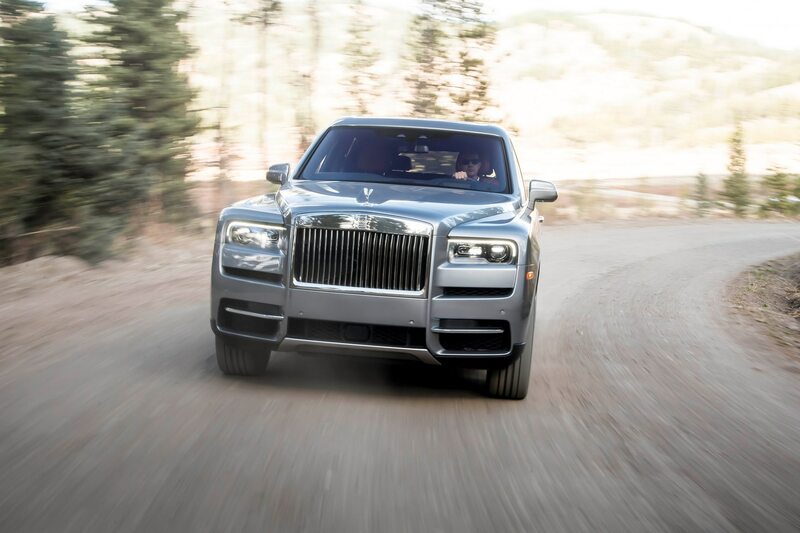 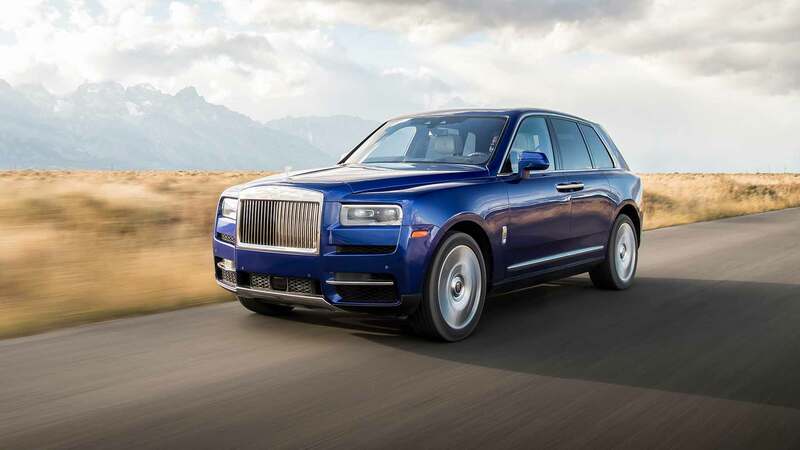 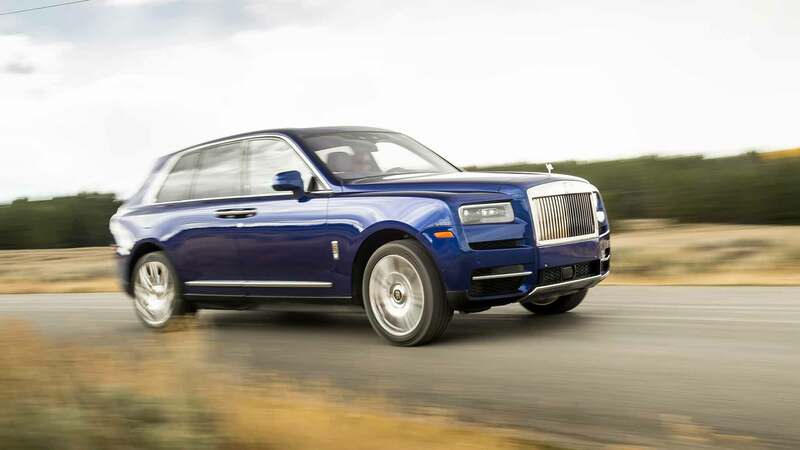 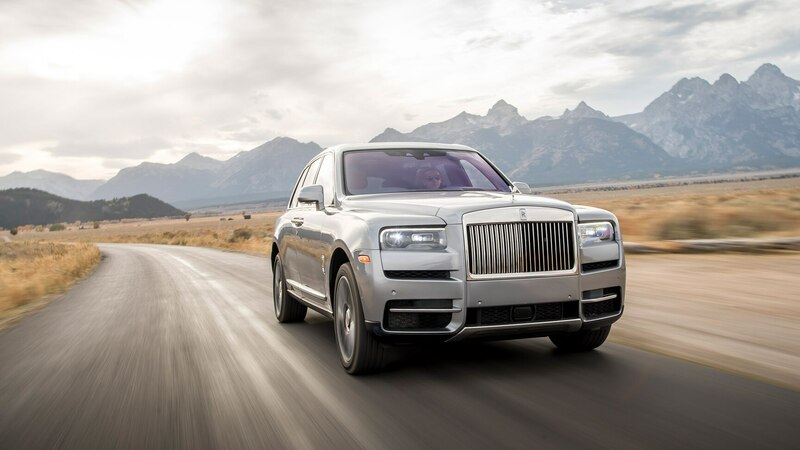 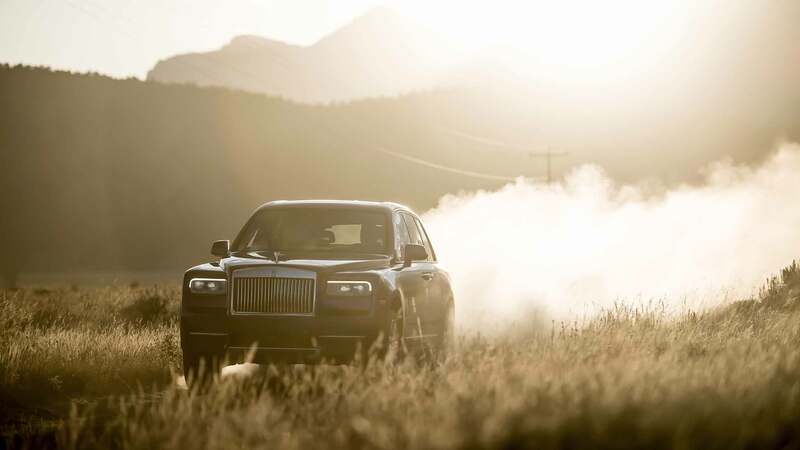 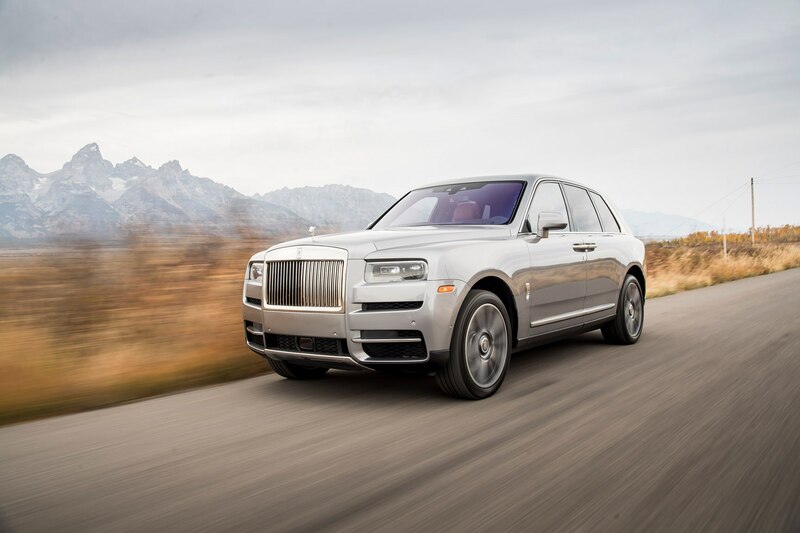 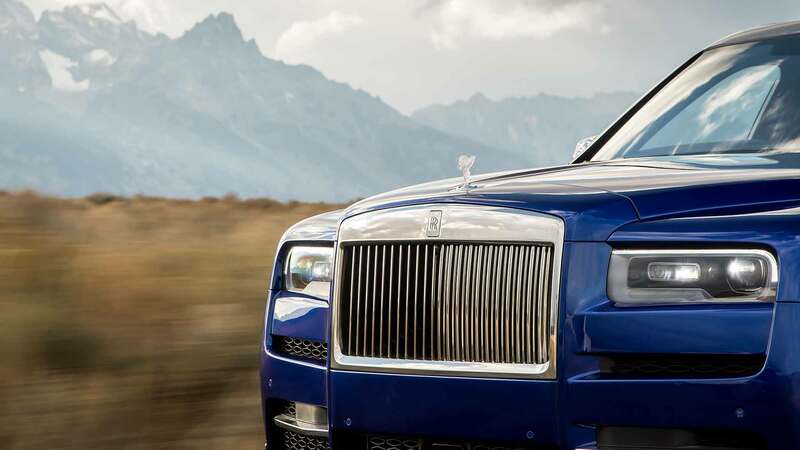 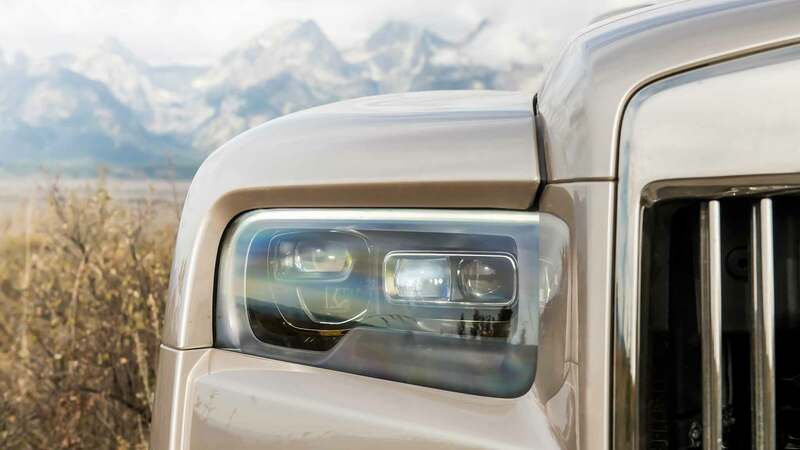 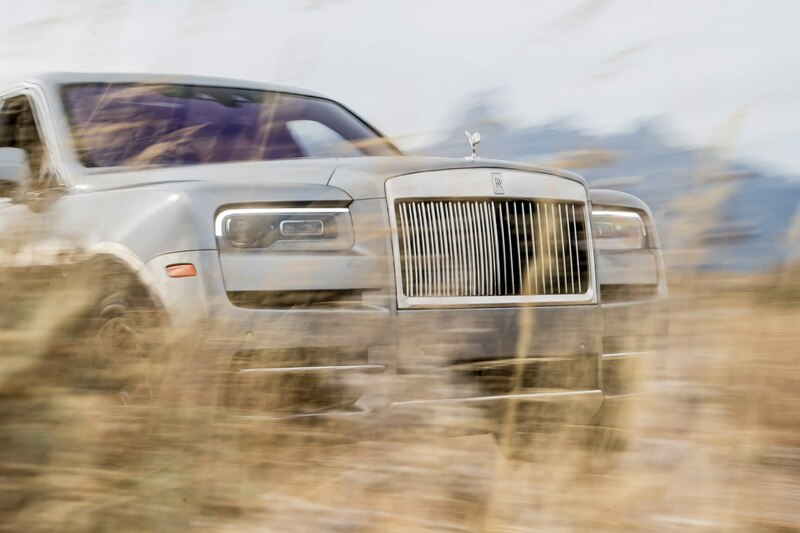 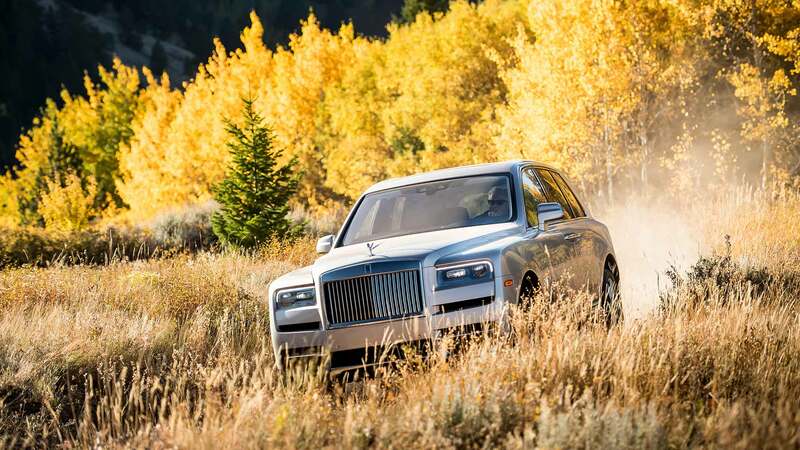 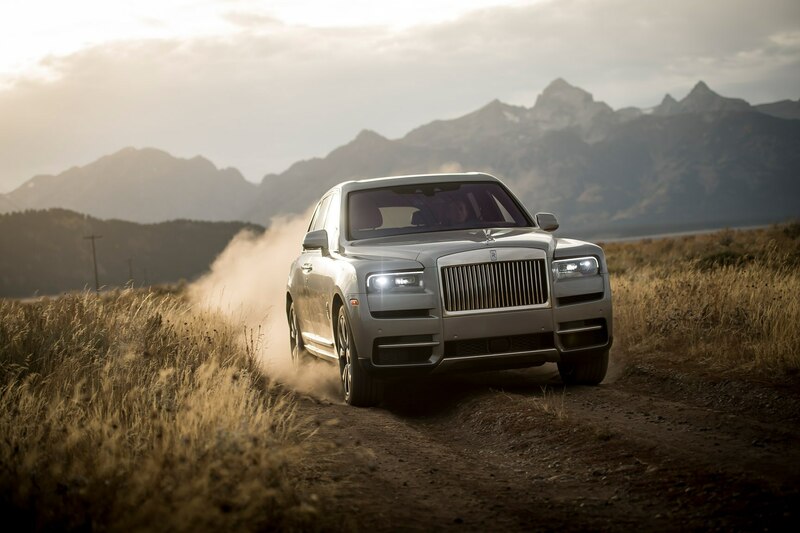 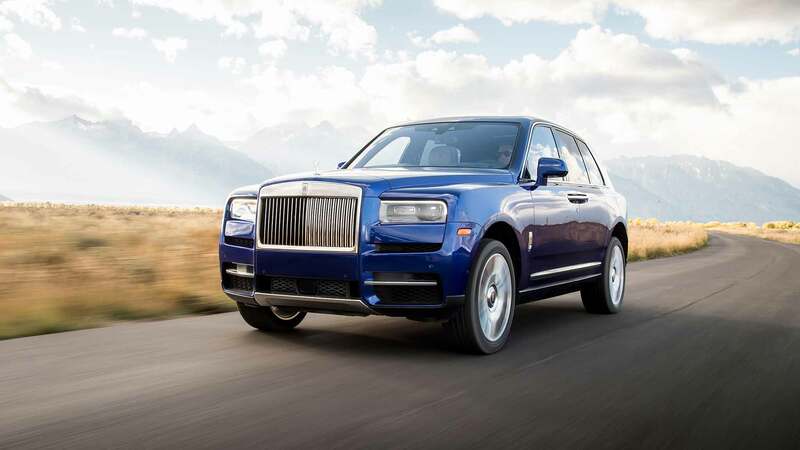 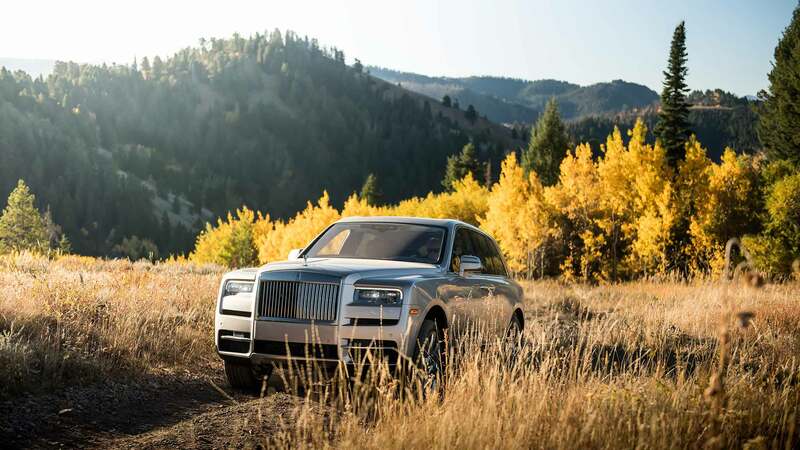 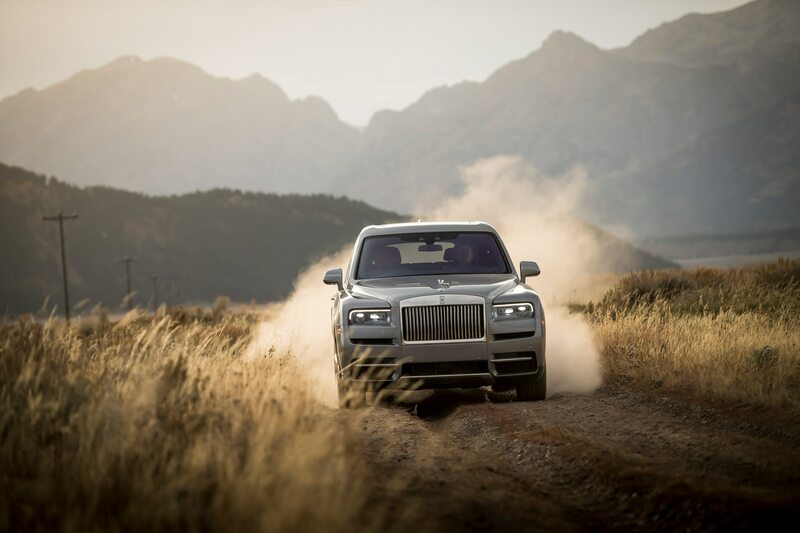 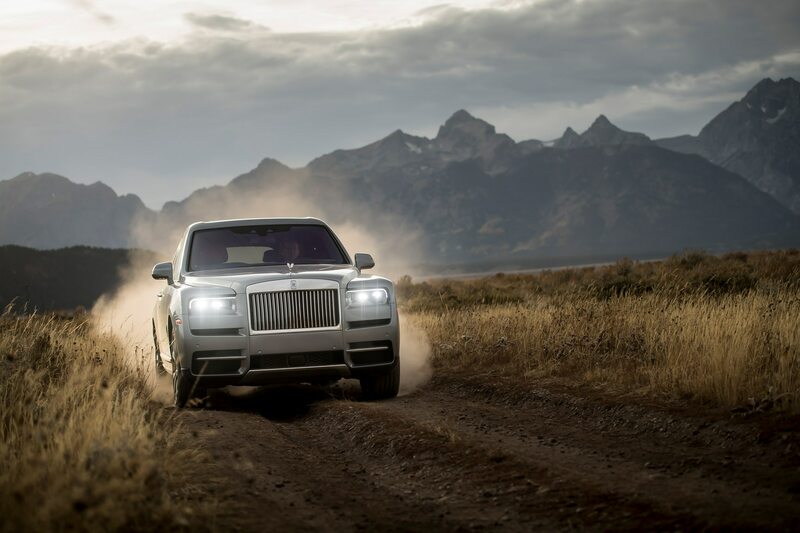 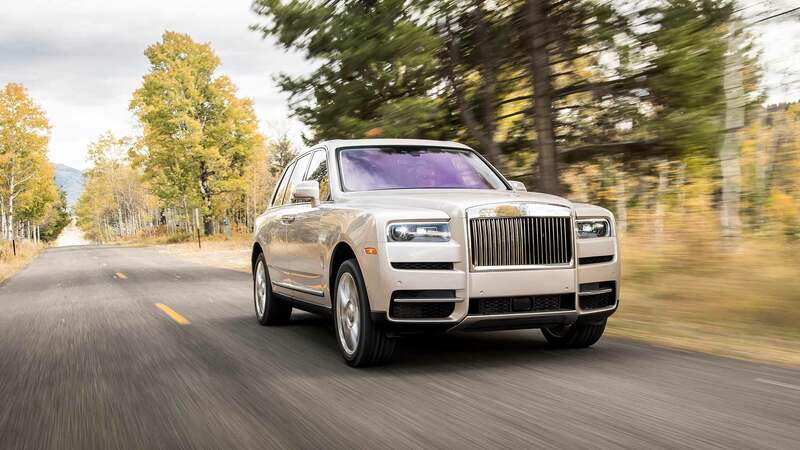 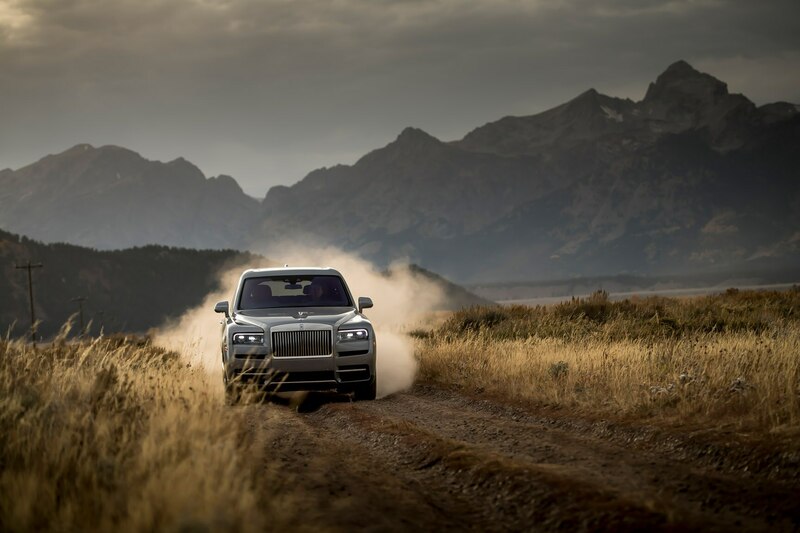 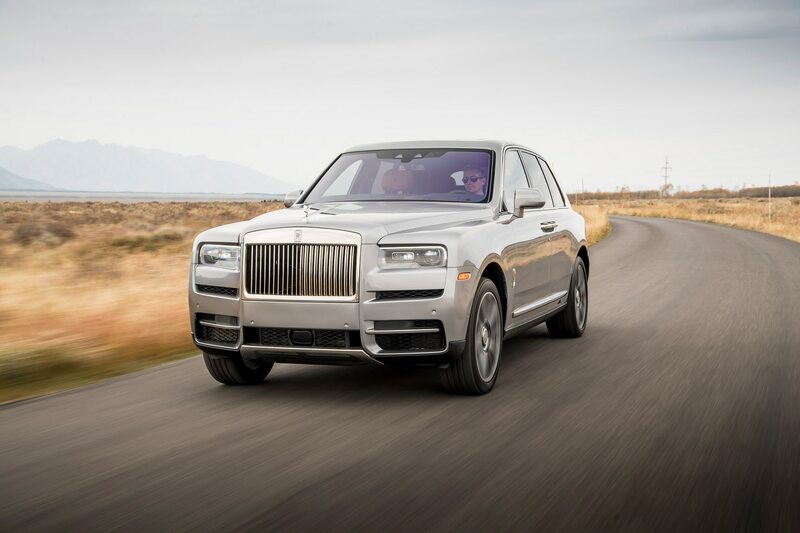 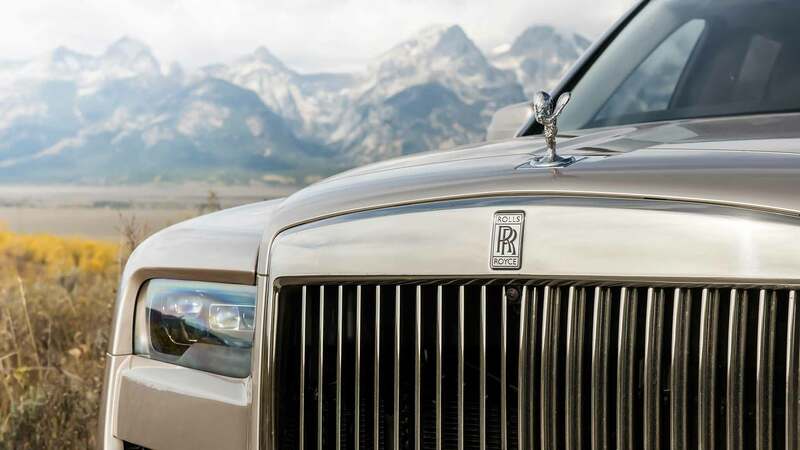 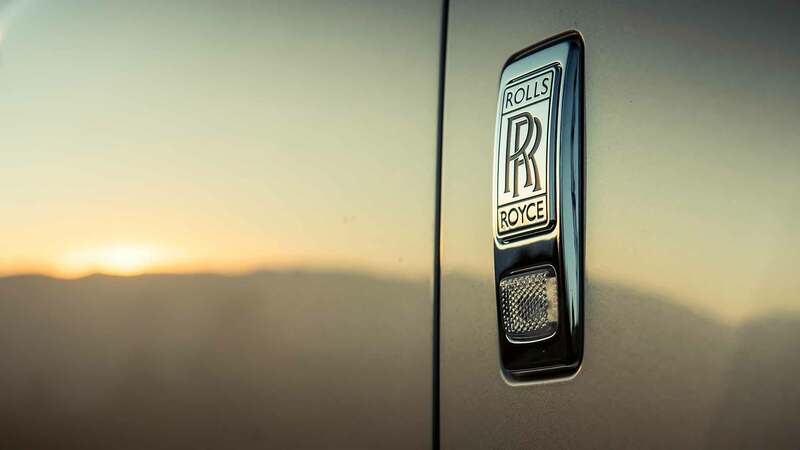 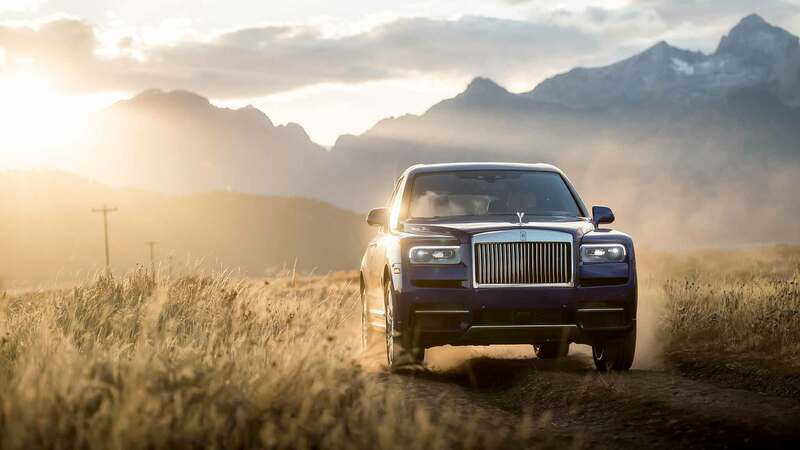 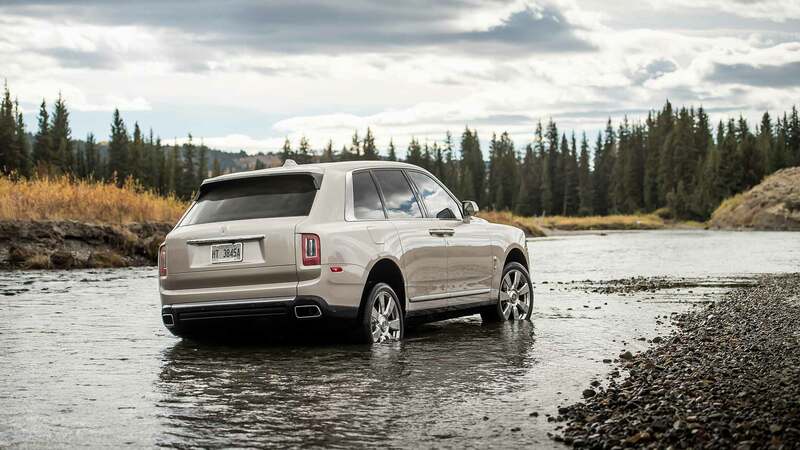 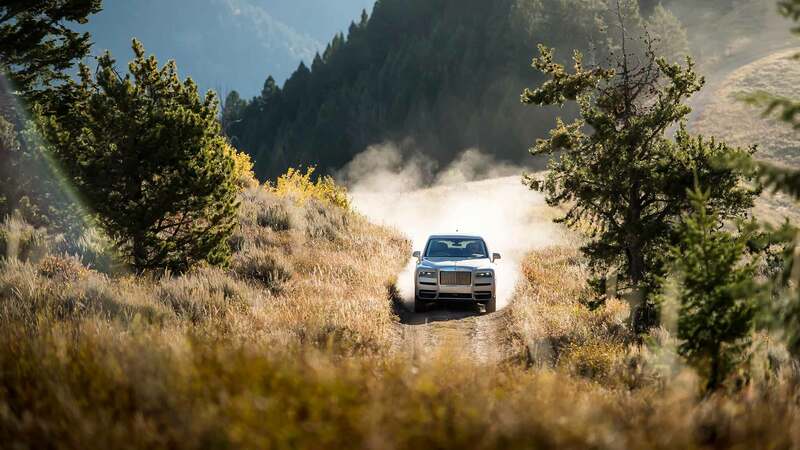 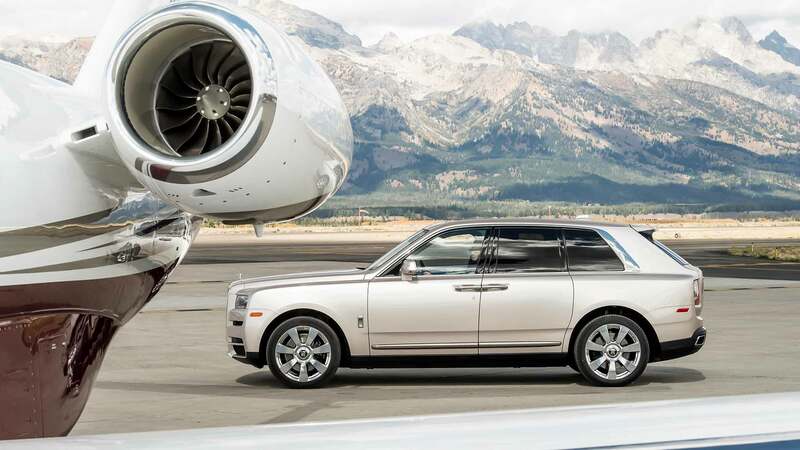 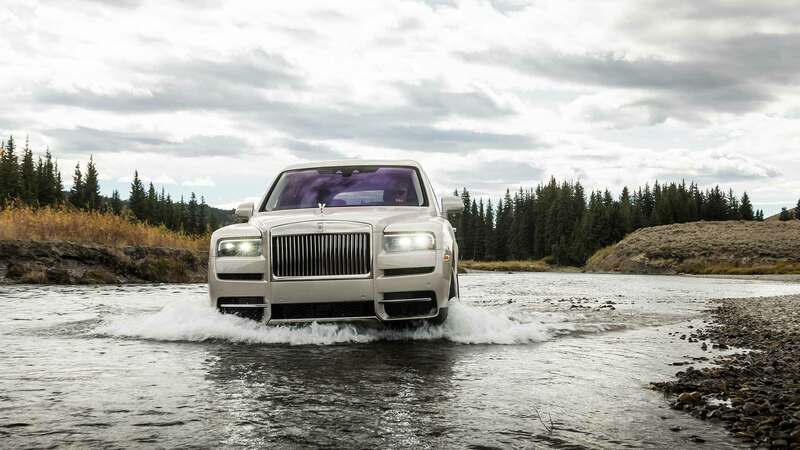 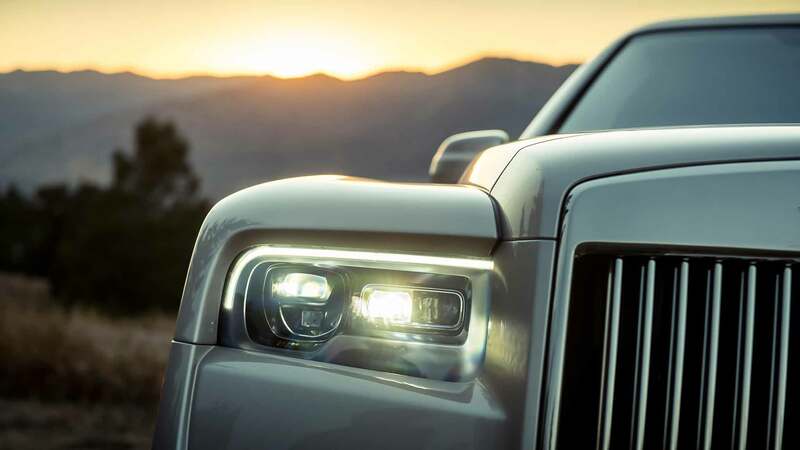 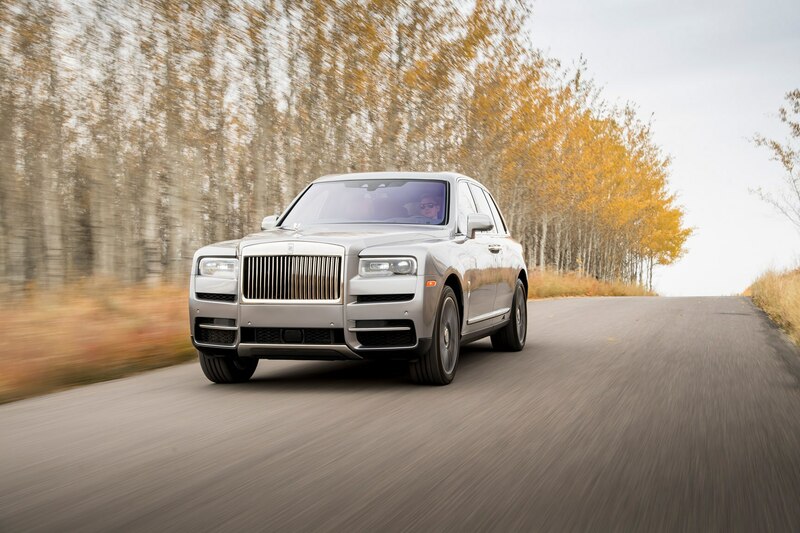 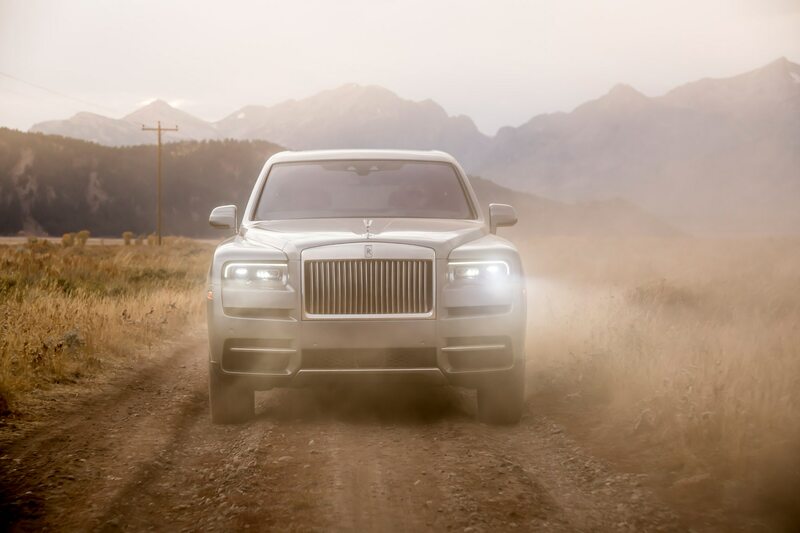 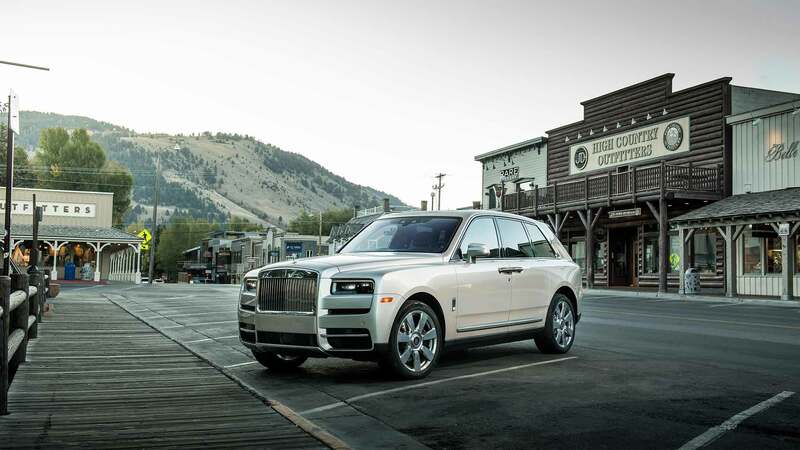 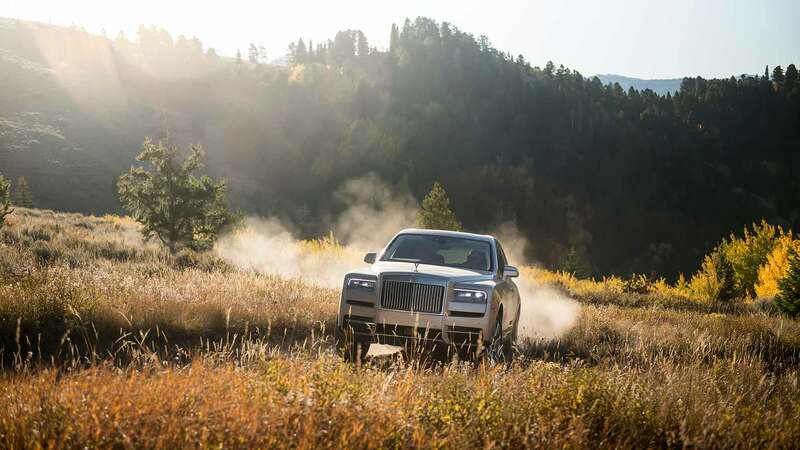 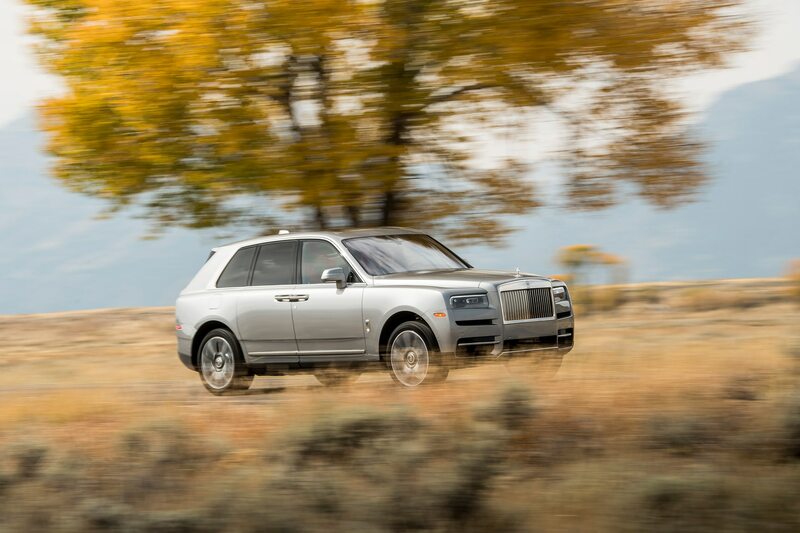 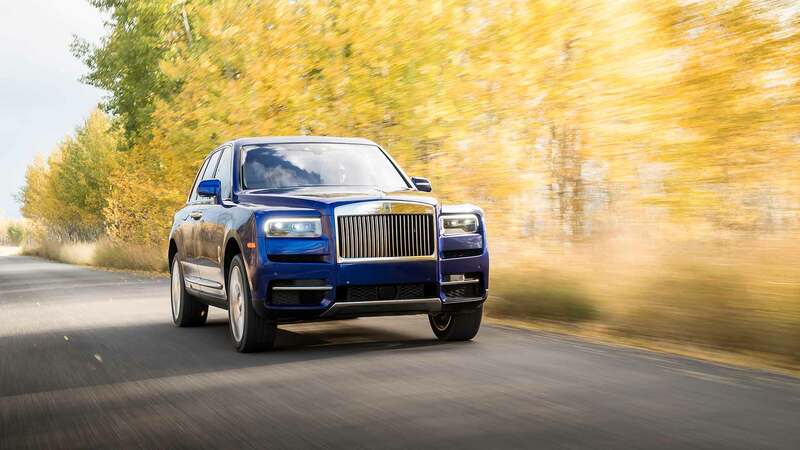 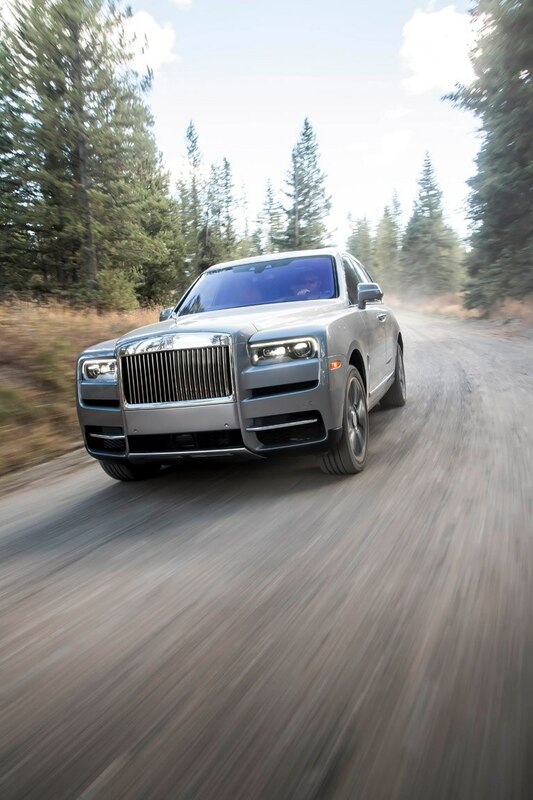 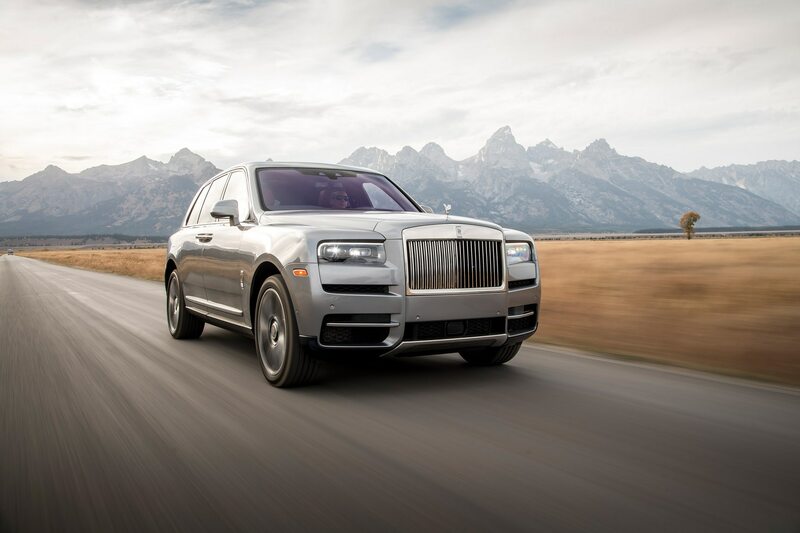 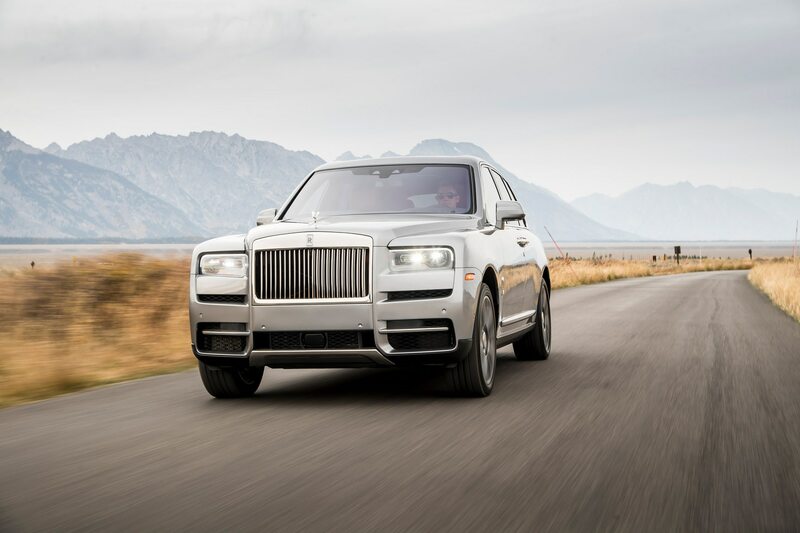 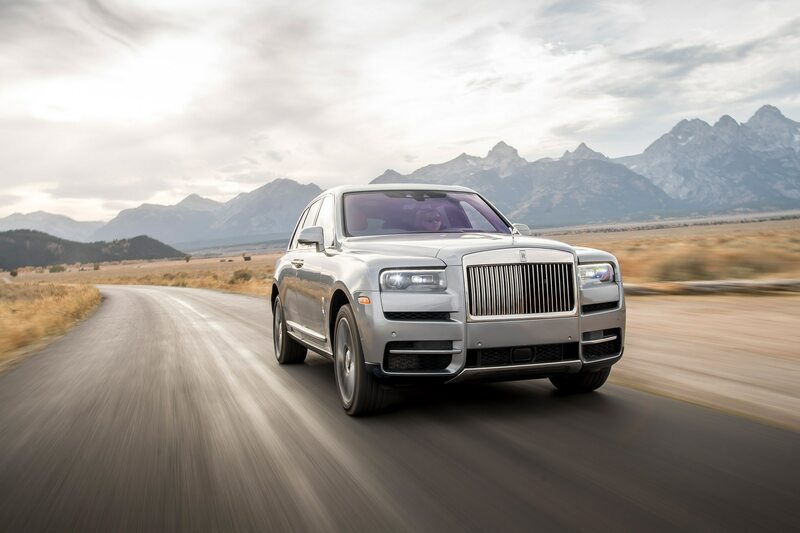 Cullinan is a highly measured, seriously considered sport utility that feels every bit a Rolls-Royce, with more versatility than you might expect from a brand whose last ventures into the genre date back to T.E. 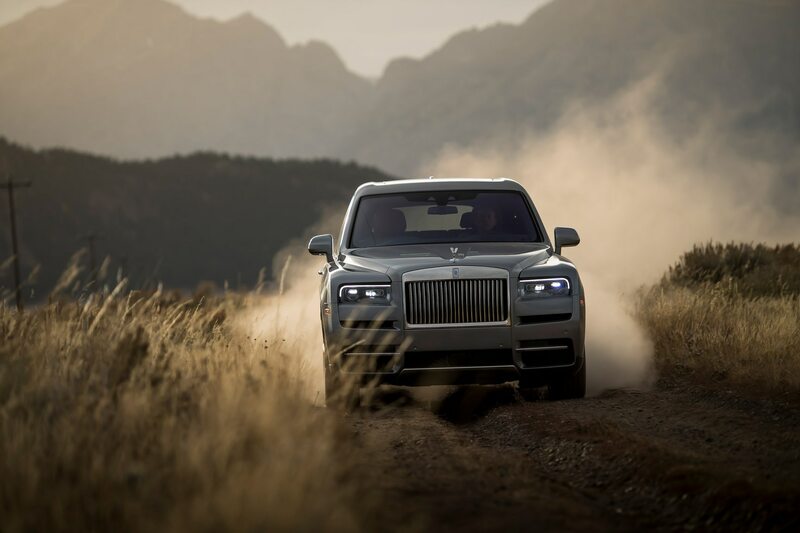 Lawrence, better known as Lawrence of Arabia, who battled Turks in the desert with a fleet of nine armored Silver Ghosts. 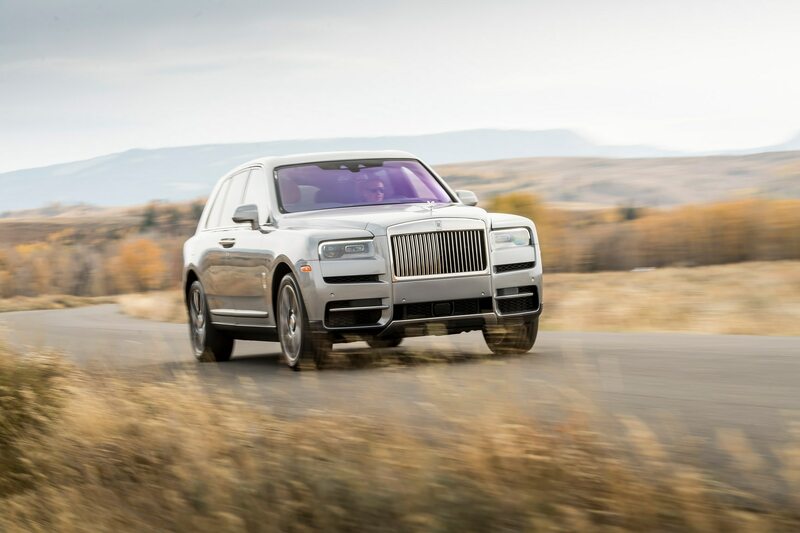 Cullinan’s armor may be more stylistic than literal. 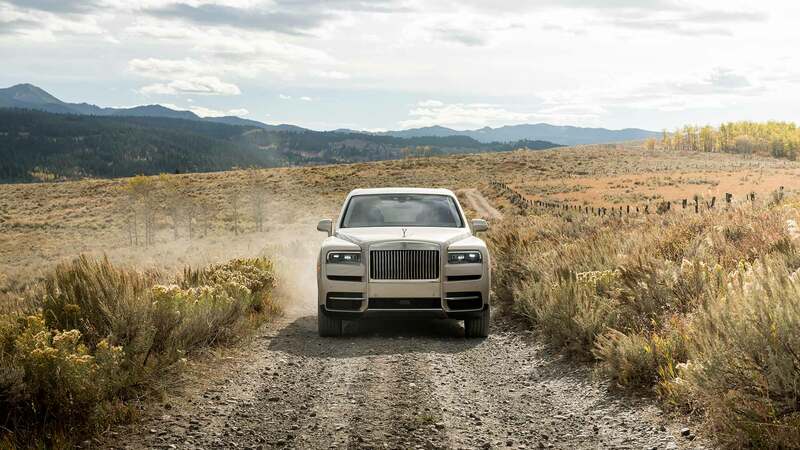 But it does an indomitable job of insulating its occupants from the wilds of the world while presenting a stoic outward face to skeptics and admirers alike.